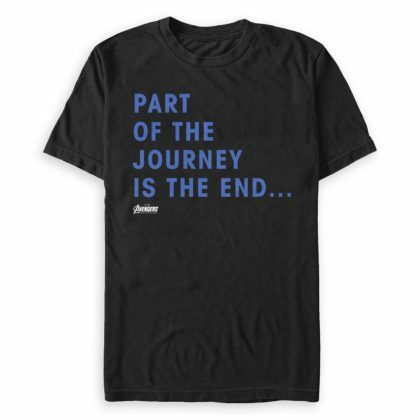 “Part of the journey is the end.” Folks this is the Marvel film we’ve all been waiting for. 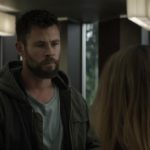 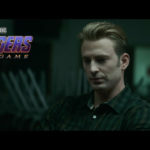 Avengers: Endgame premieres THIS MONTH and we can’t wait! 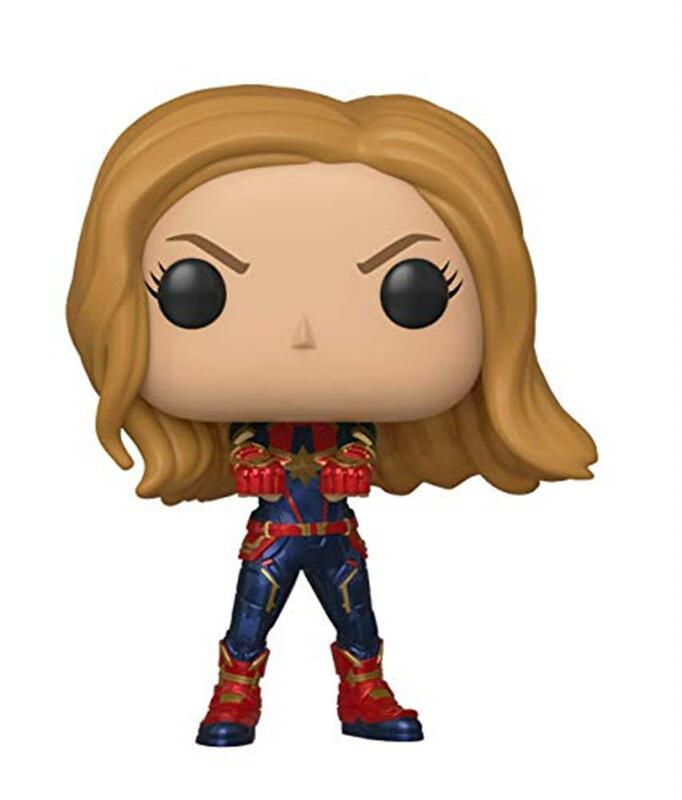 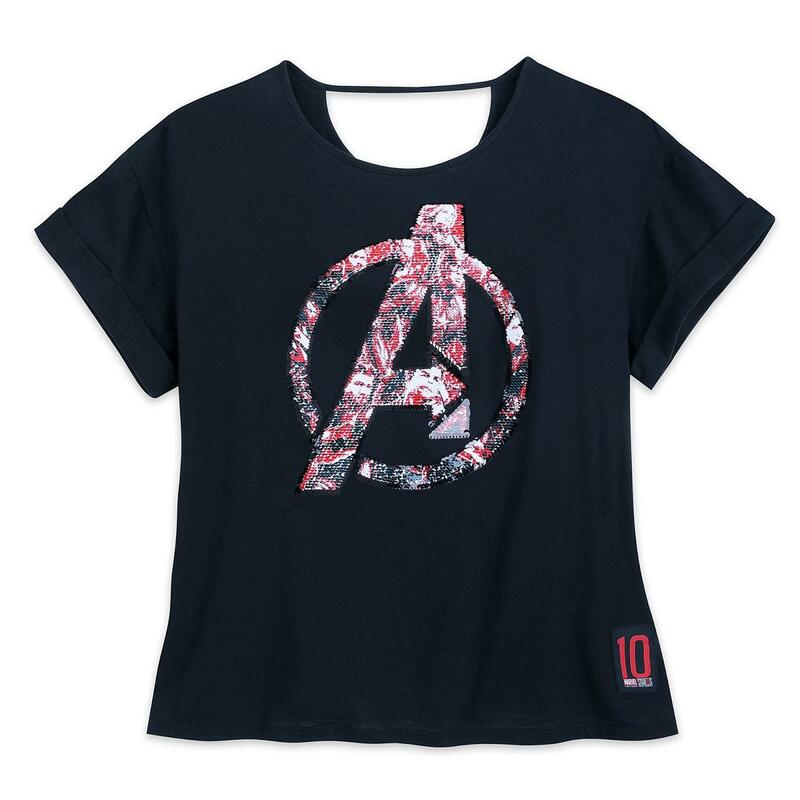 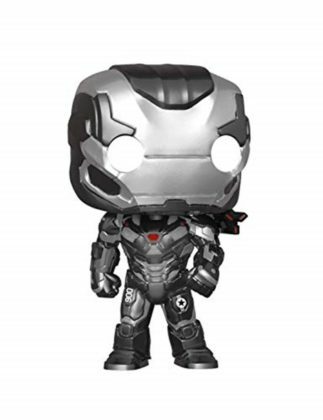 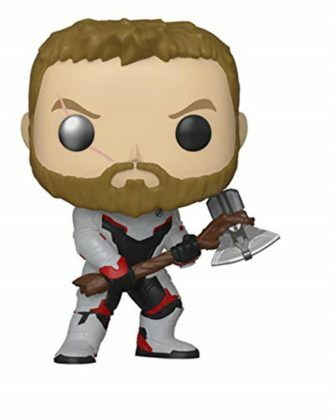 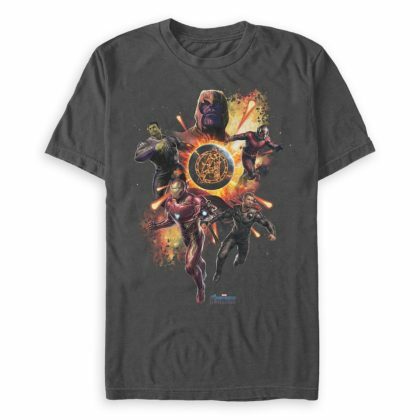 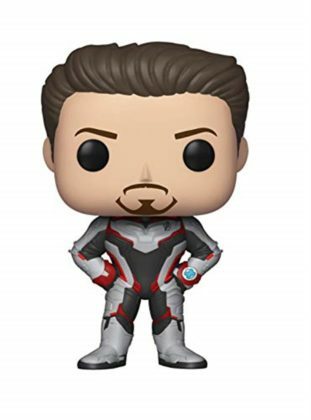 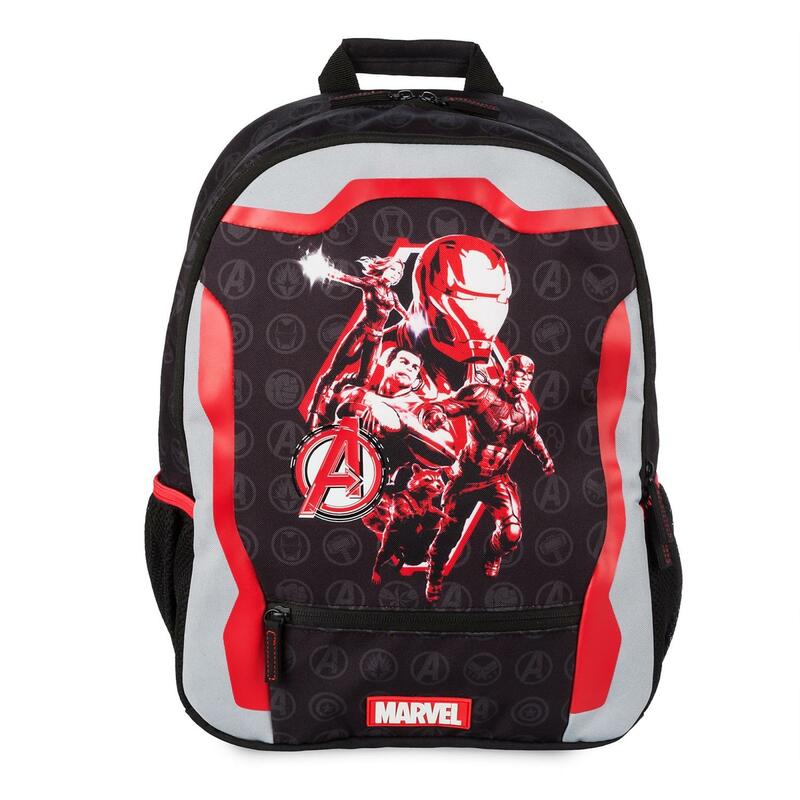 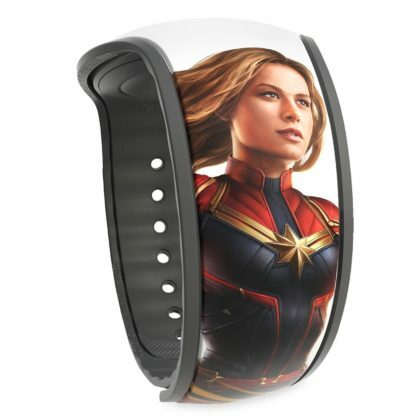 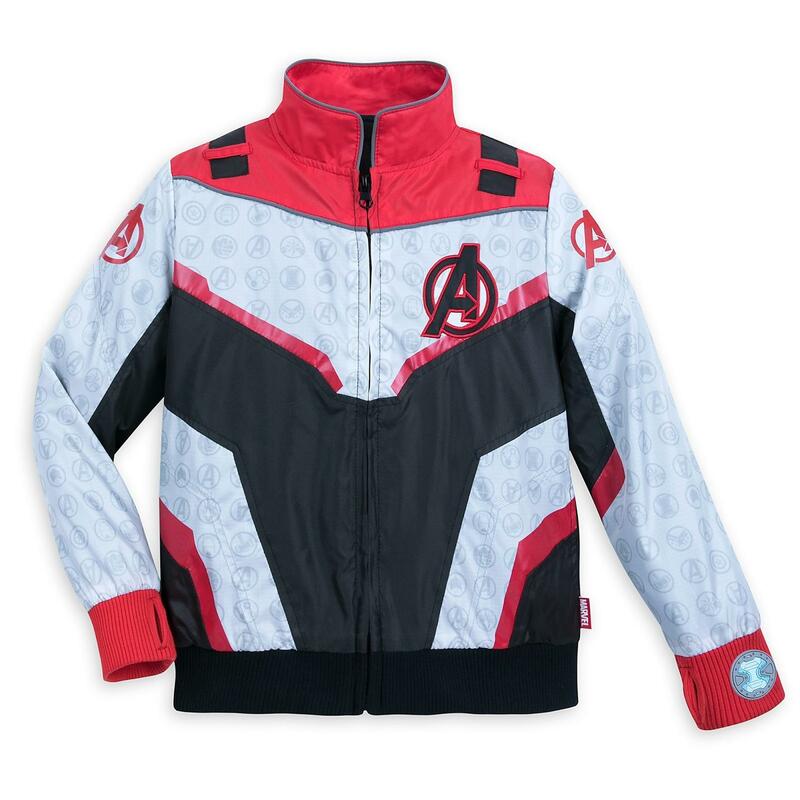 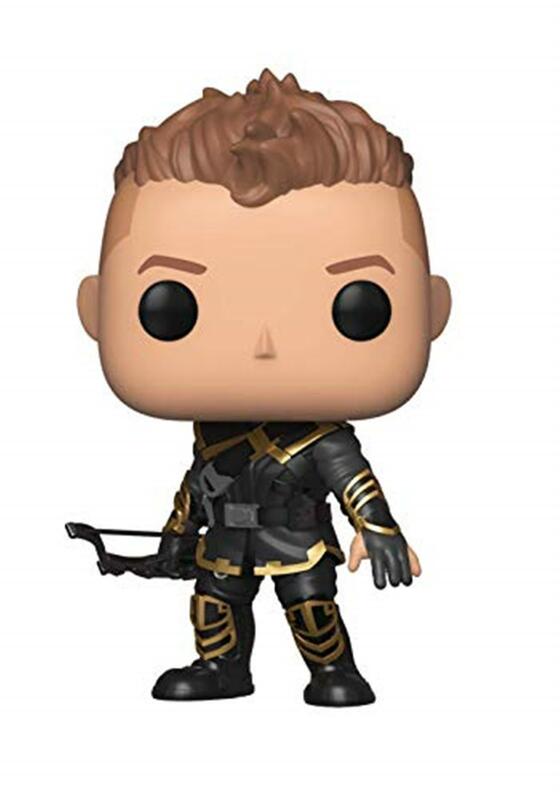 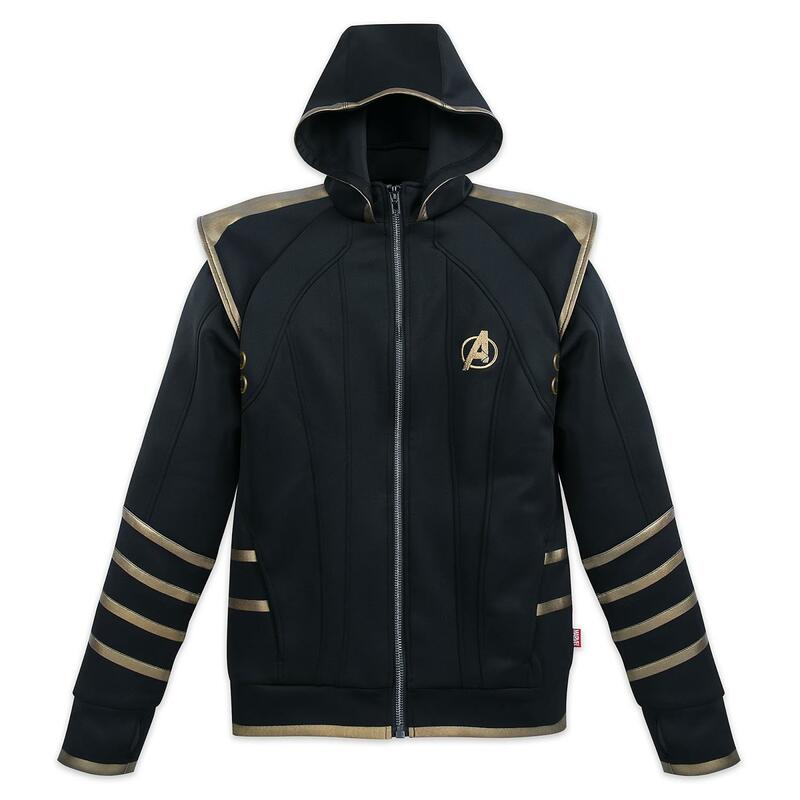 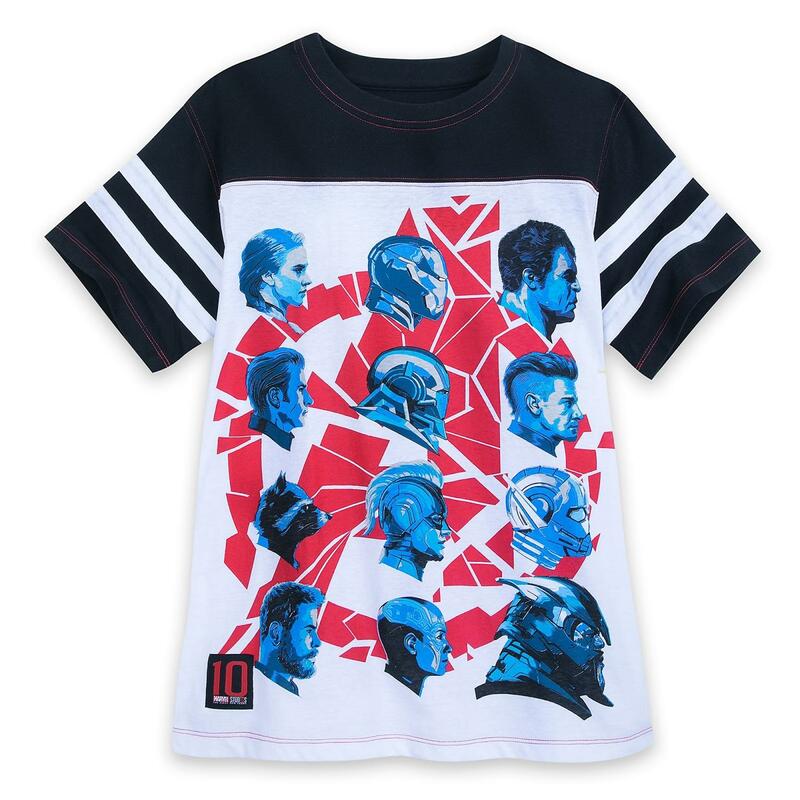 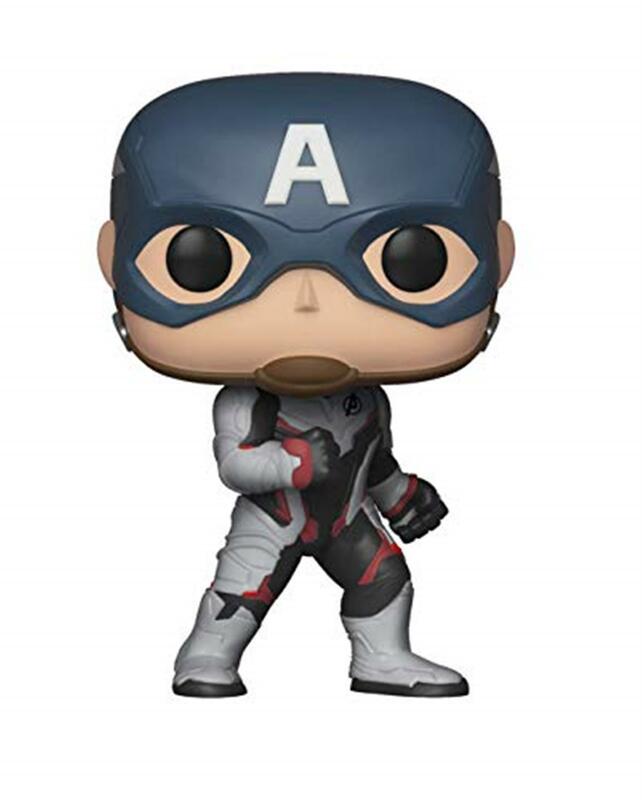 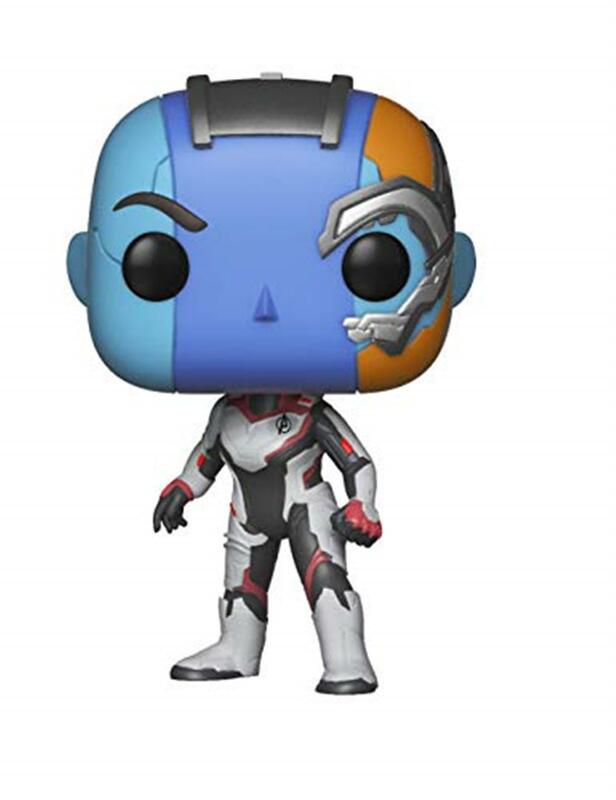 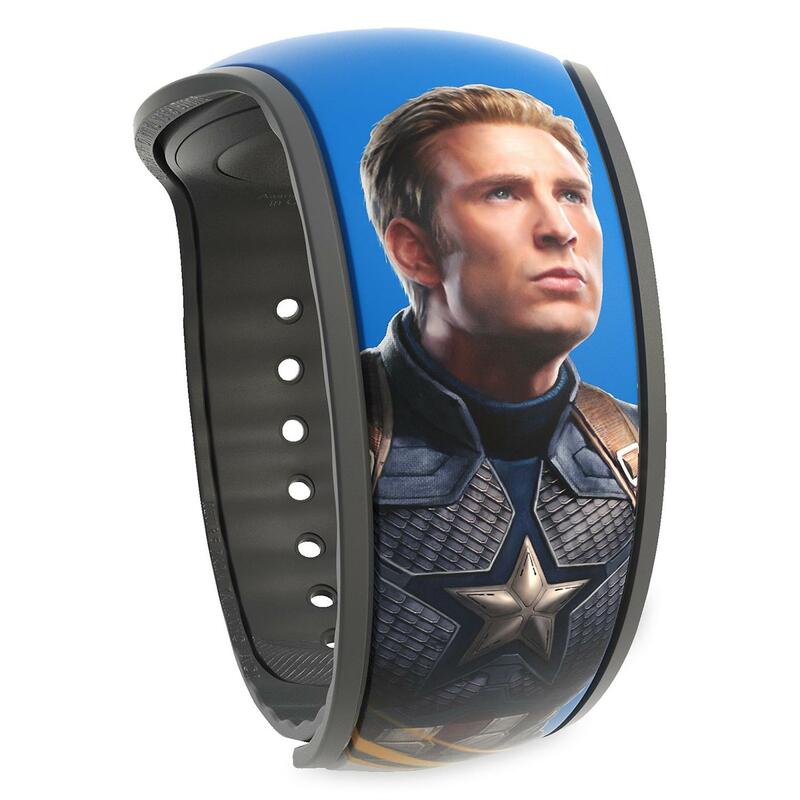 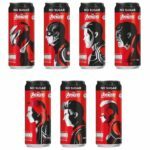 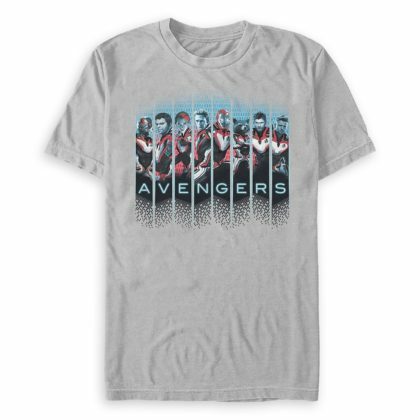 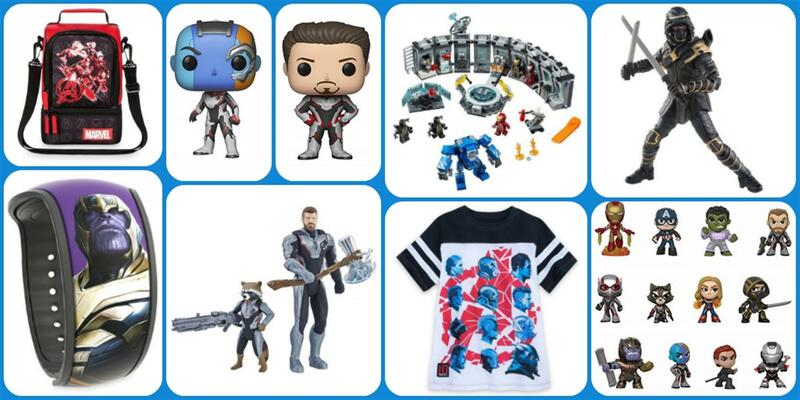 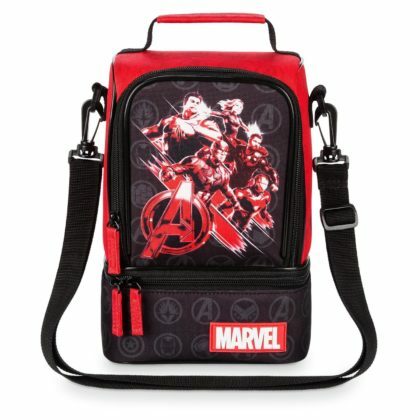 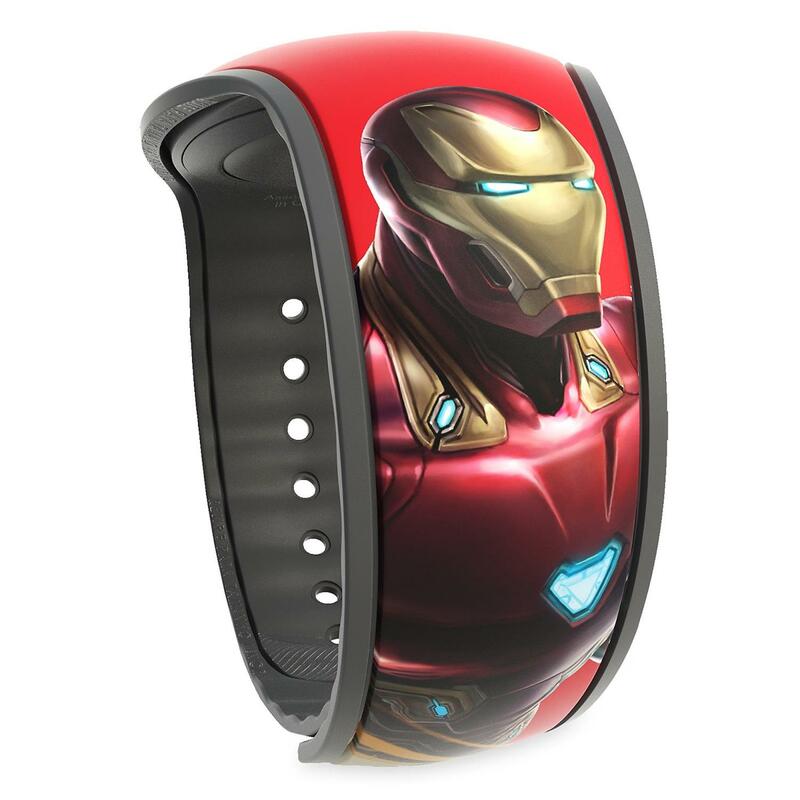 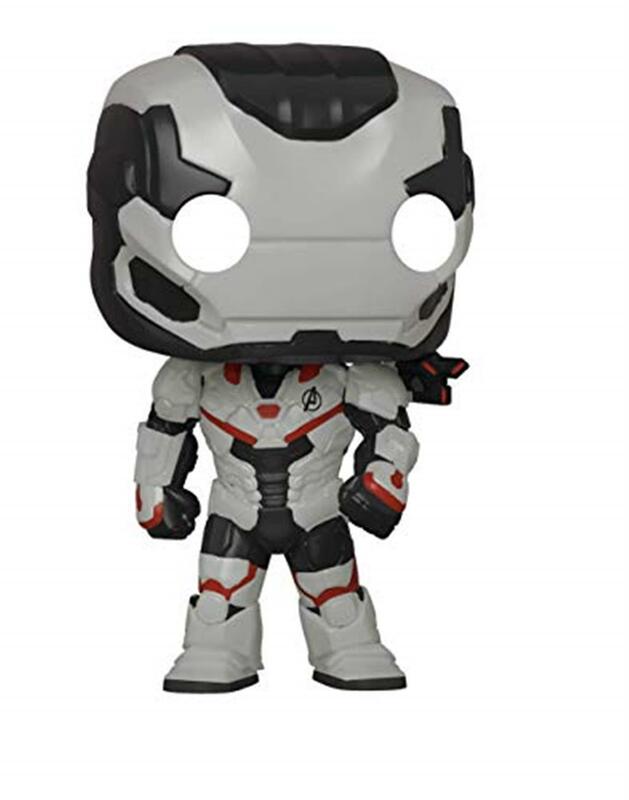 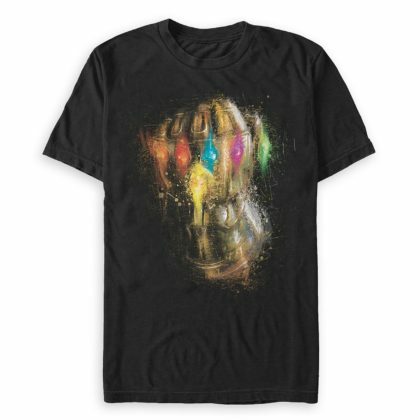 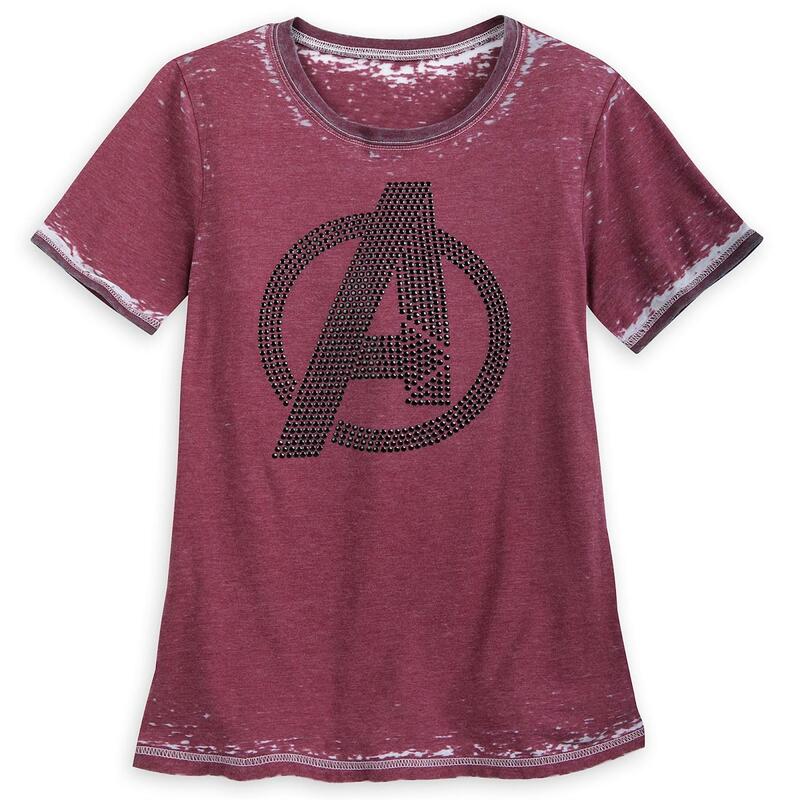 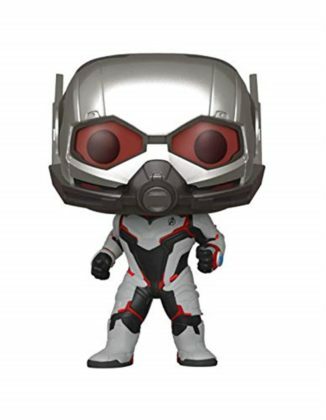 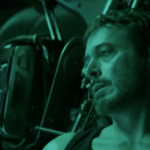 To get fans even more psyched for the new film, Funko, Hasbro, and shopDisney have released their licensed Endgame merchandise and you’re going to want it all. Alright gang, grab your wallets and hang on, cus here we go. 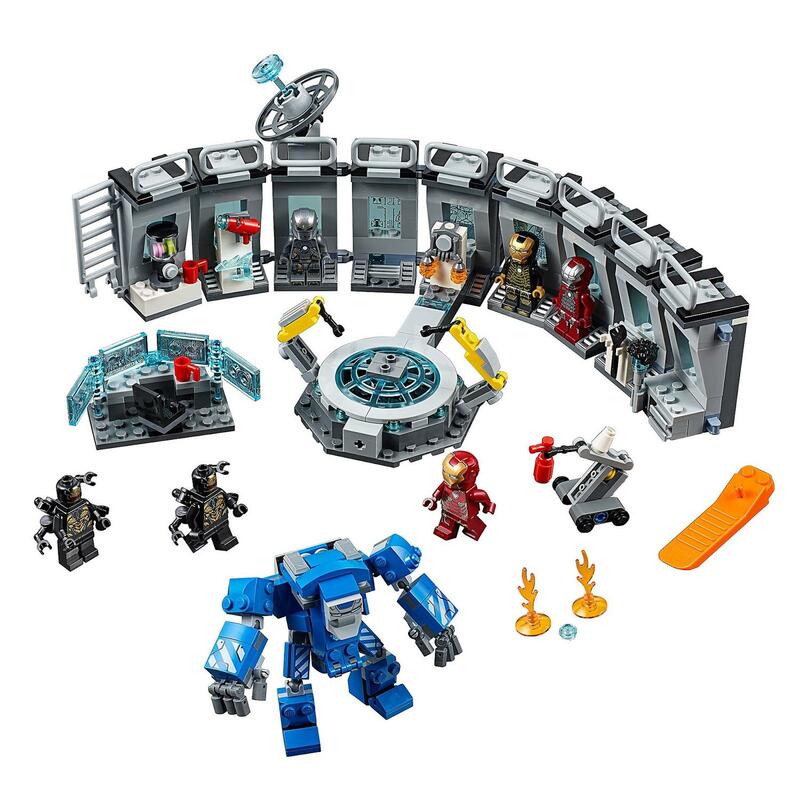 The original six and all here, this is where it began and now their back together for one last fight? Each Avenger (except for Captain Marvel) is wearing the new red, white and grey suits that have been teased in the trailer. 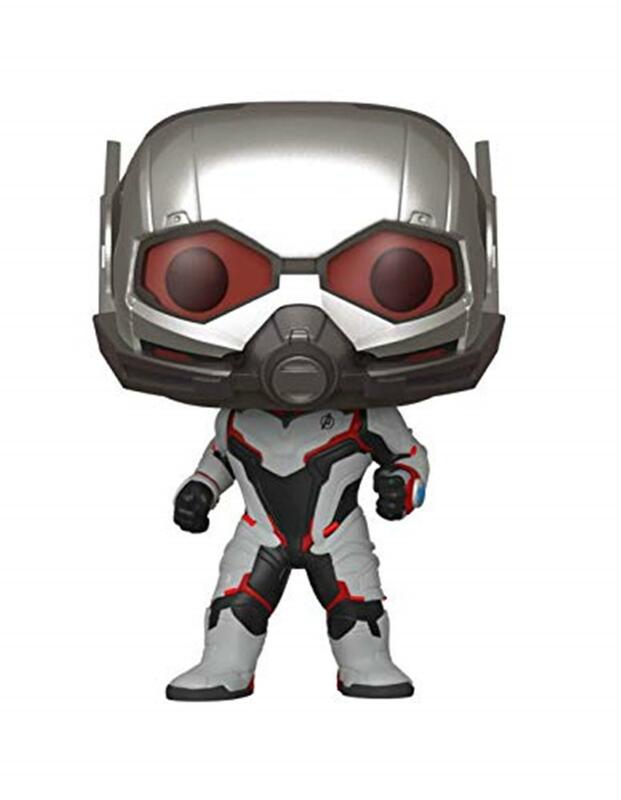 Cool new look, or special suits for quantum realm or time travel? We’ll find out soon! 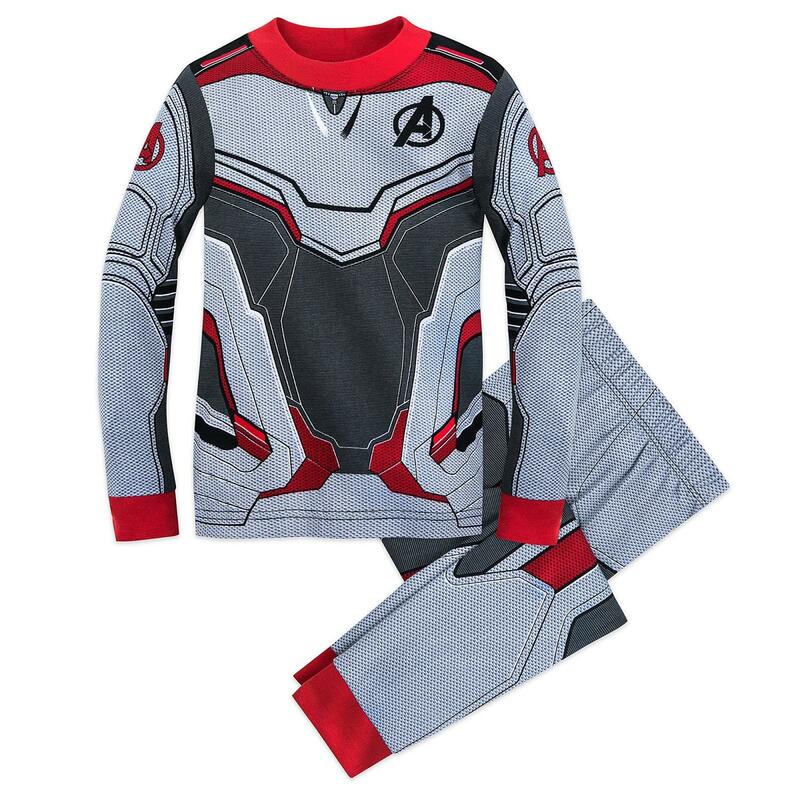 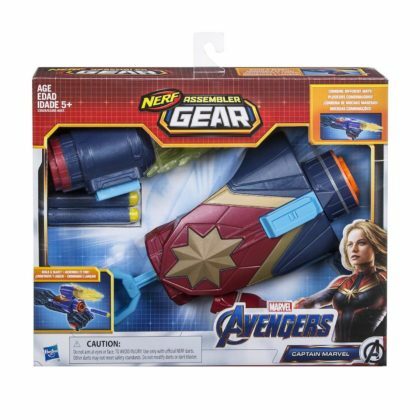 Get ready to build and blast like your favorite Avenger. 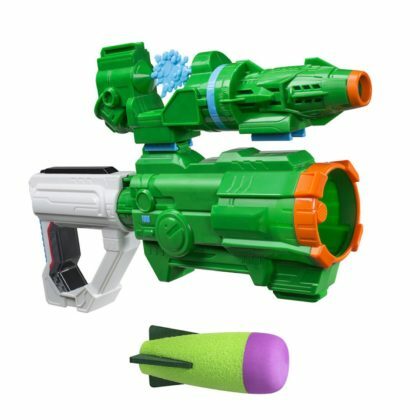 Collect, combine, and customize with NERF Assembler Gear. 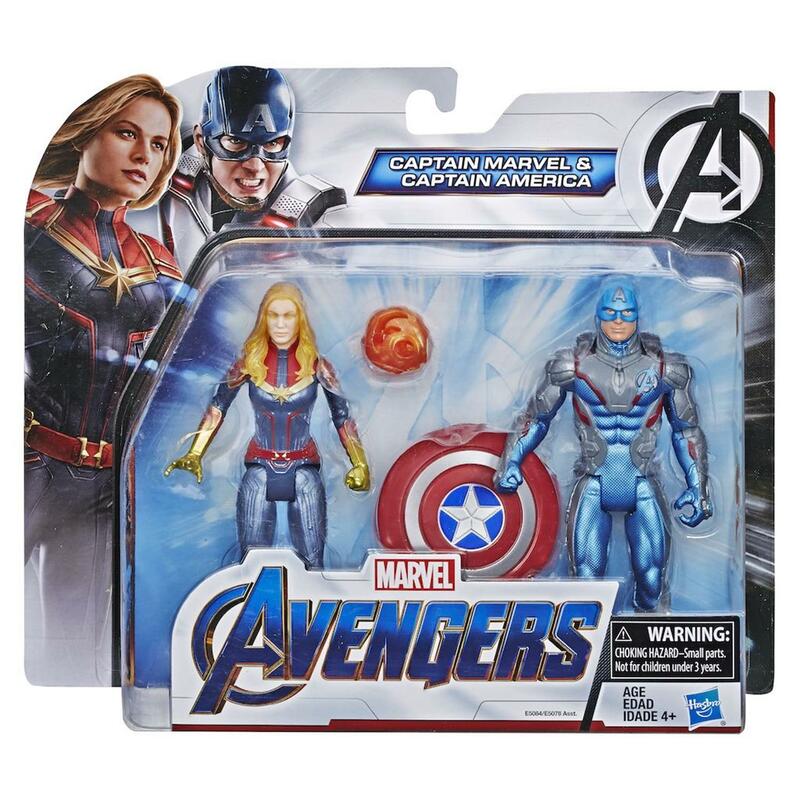 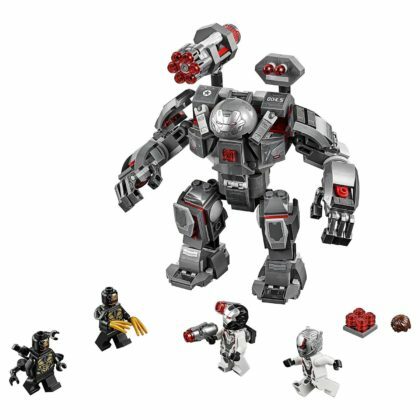 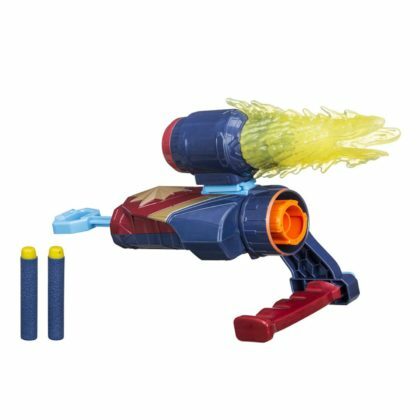 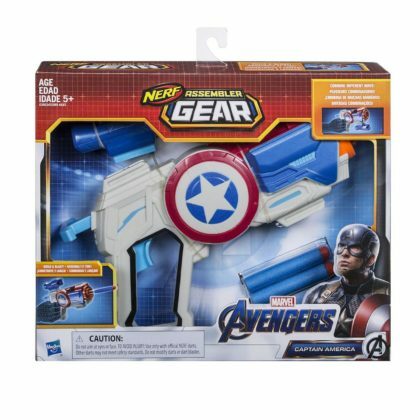 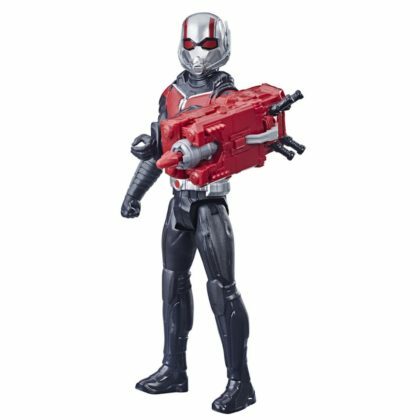 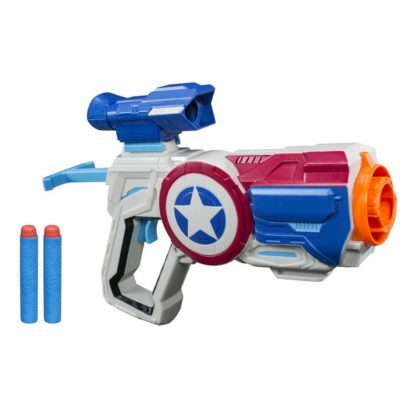 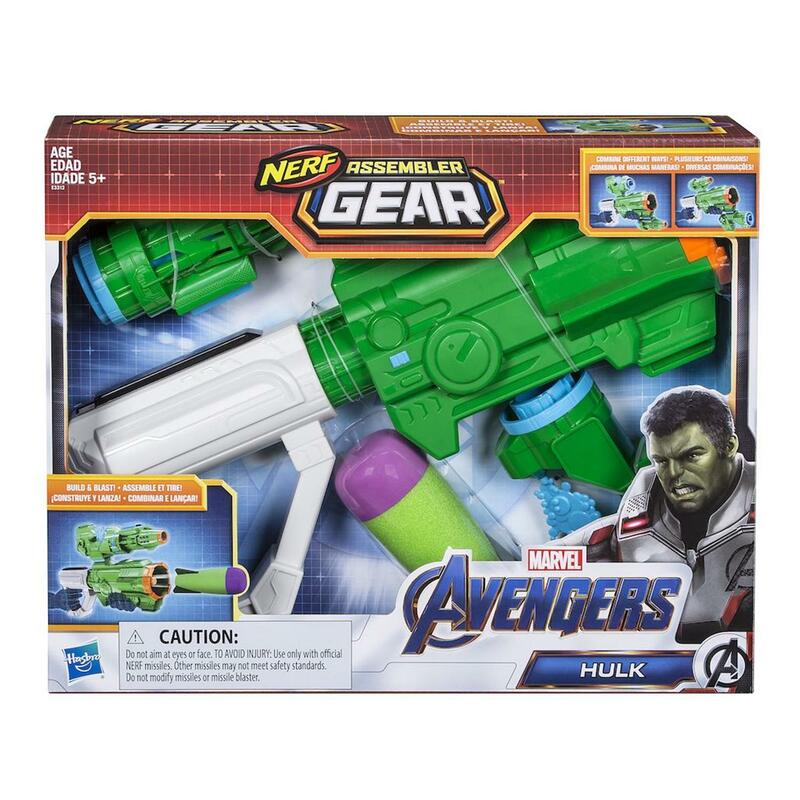 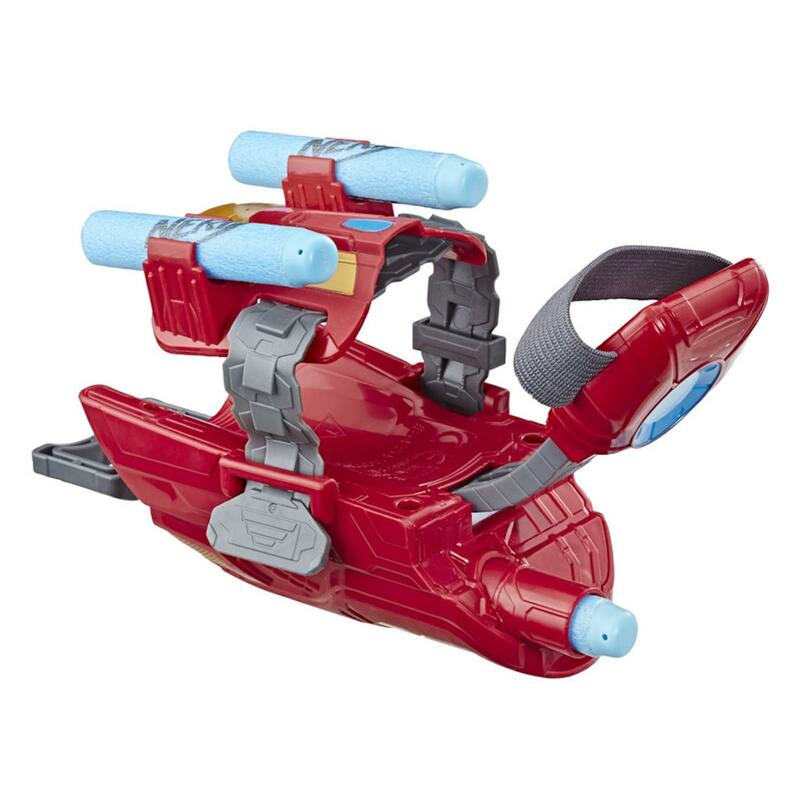 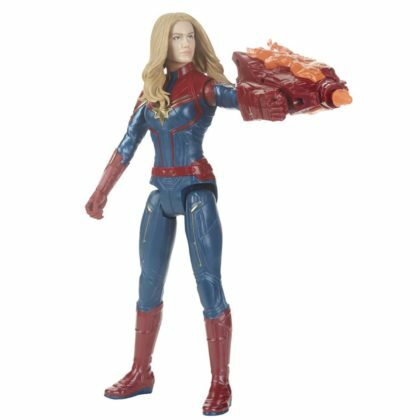 Each set features different blaster combinations and can be combined with other sets to build customizable blasters Characters include Captain America, Iron Man, Hulk, Ronin, Iron Spider, Black Panther, and Captain Marvel. 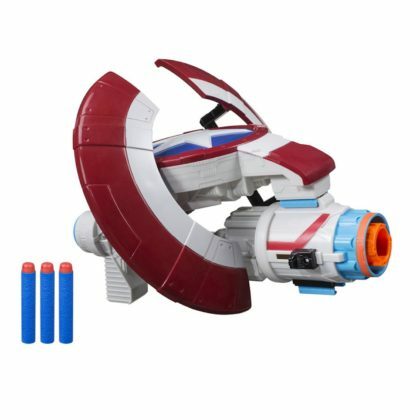 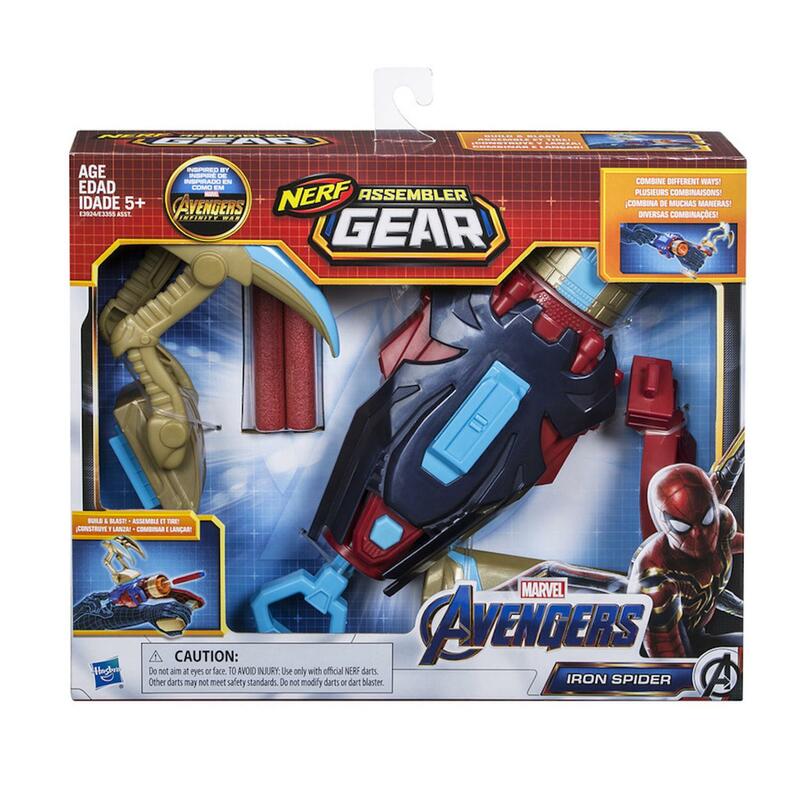 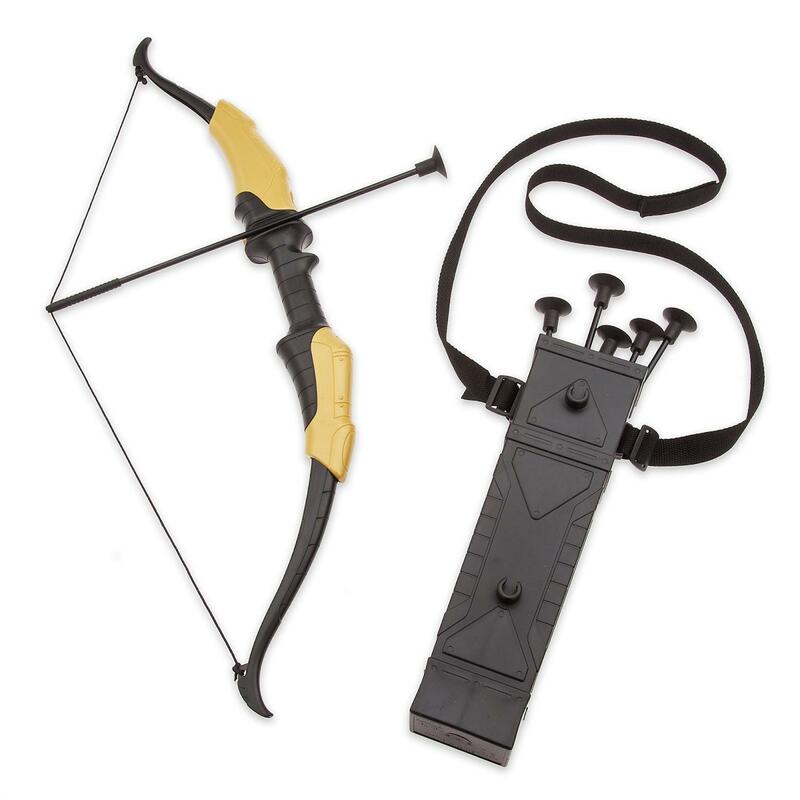 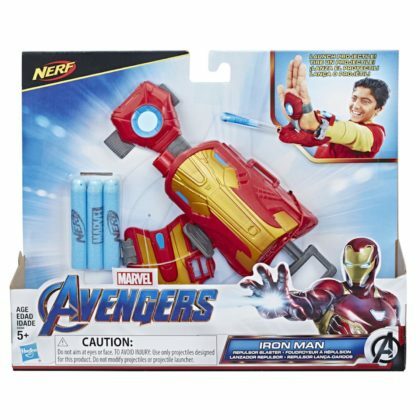 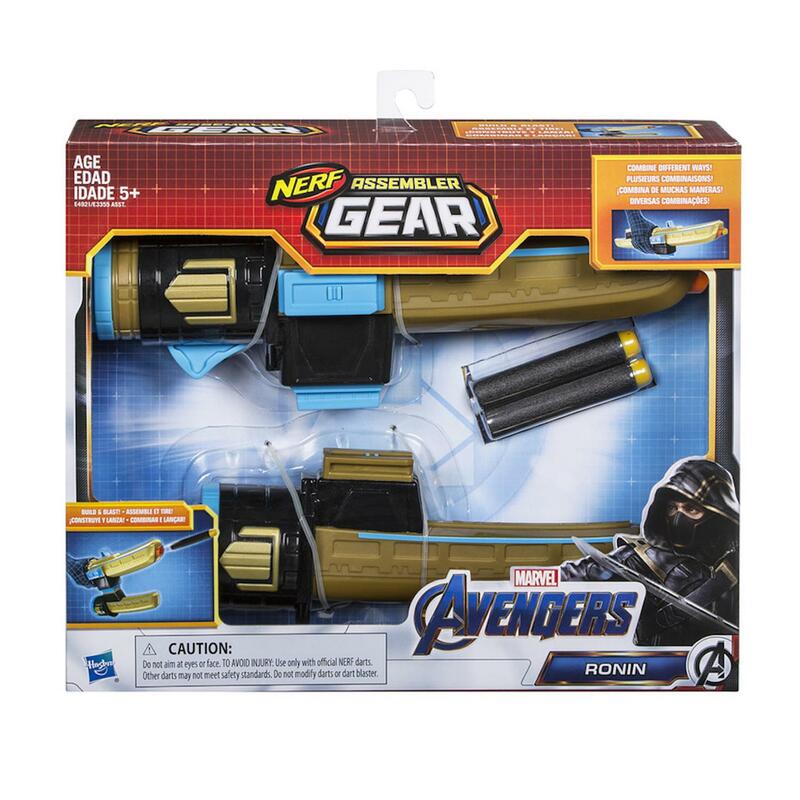 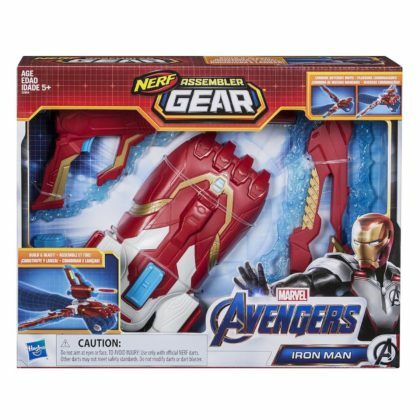 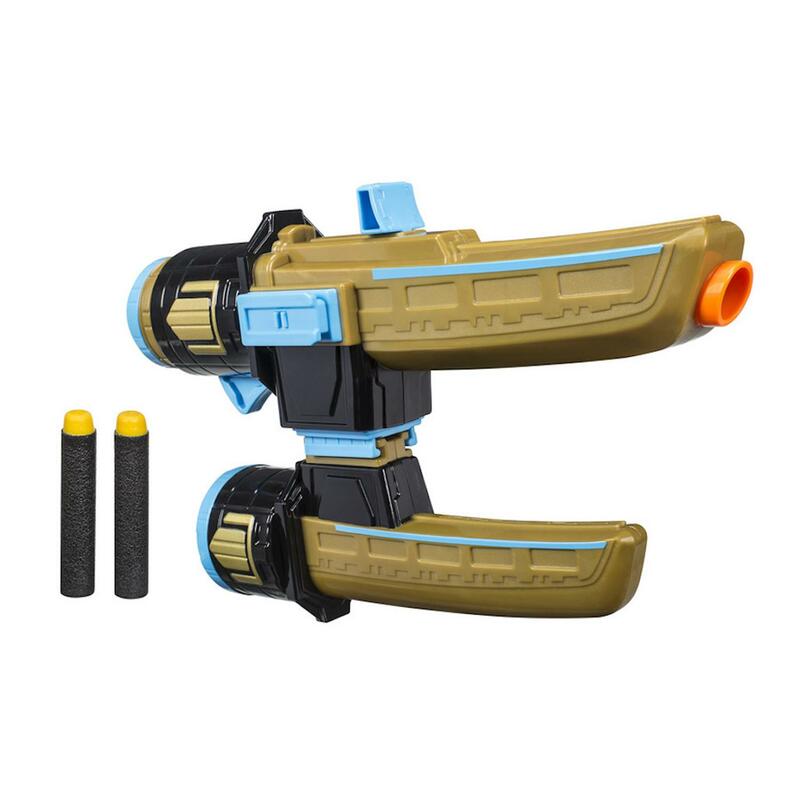 The Iron Man Blast Repulsor Gauntlet includes gauntlet and 2 NERF darts. 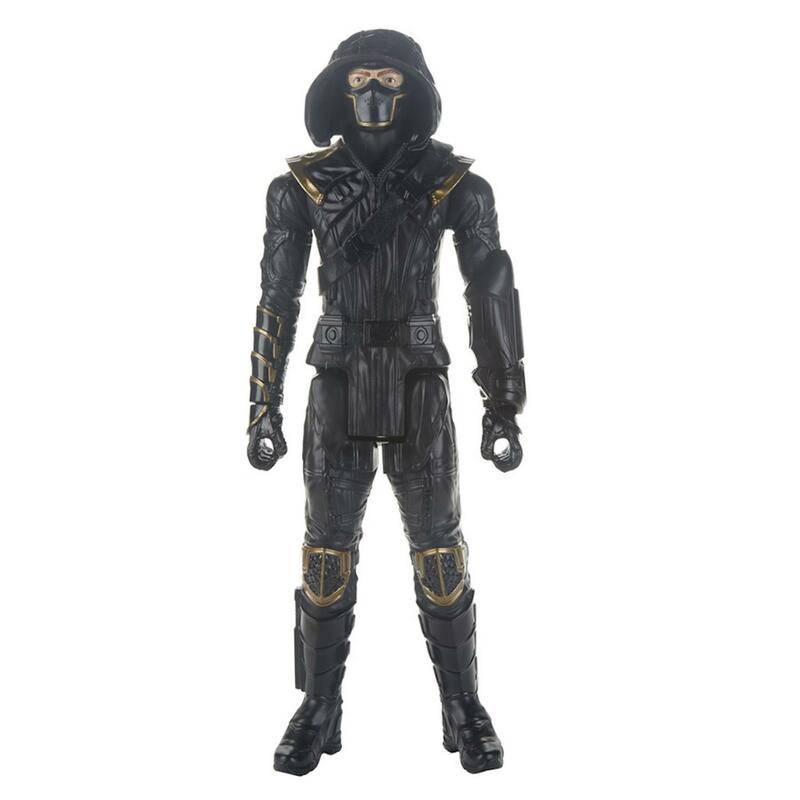 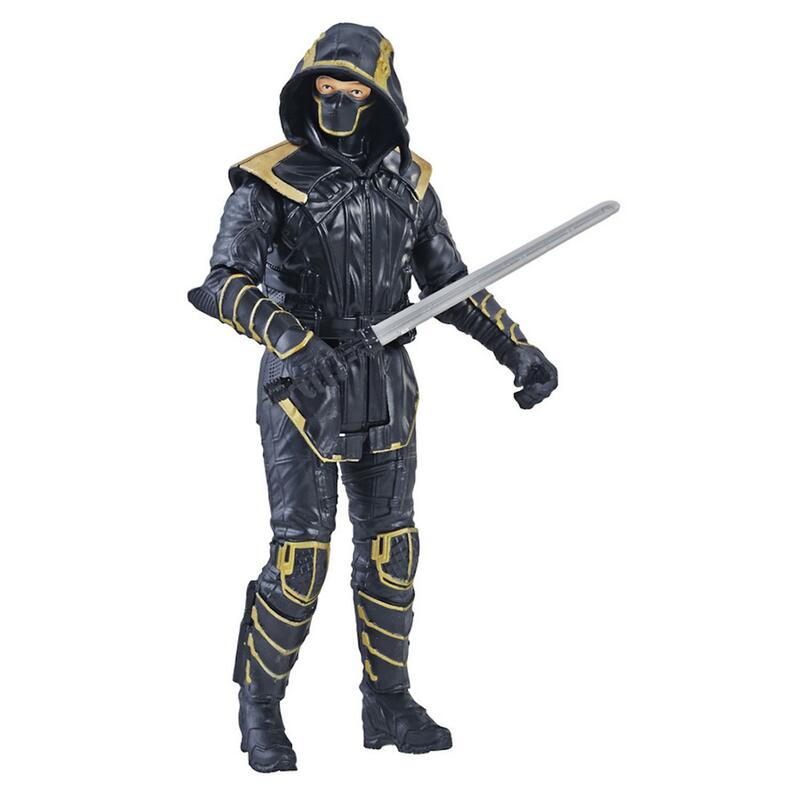 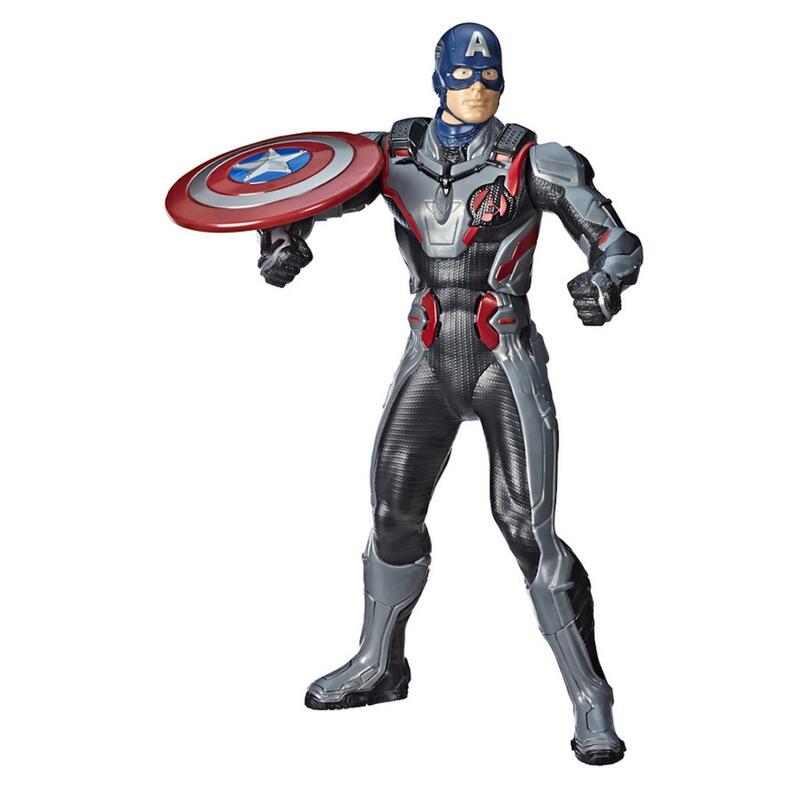 These figures include a character-inspired accessory for movie-inspired battling action! 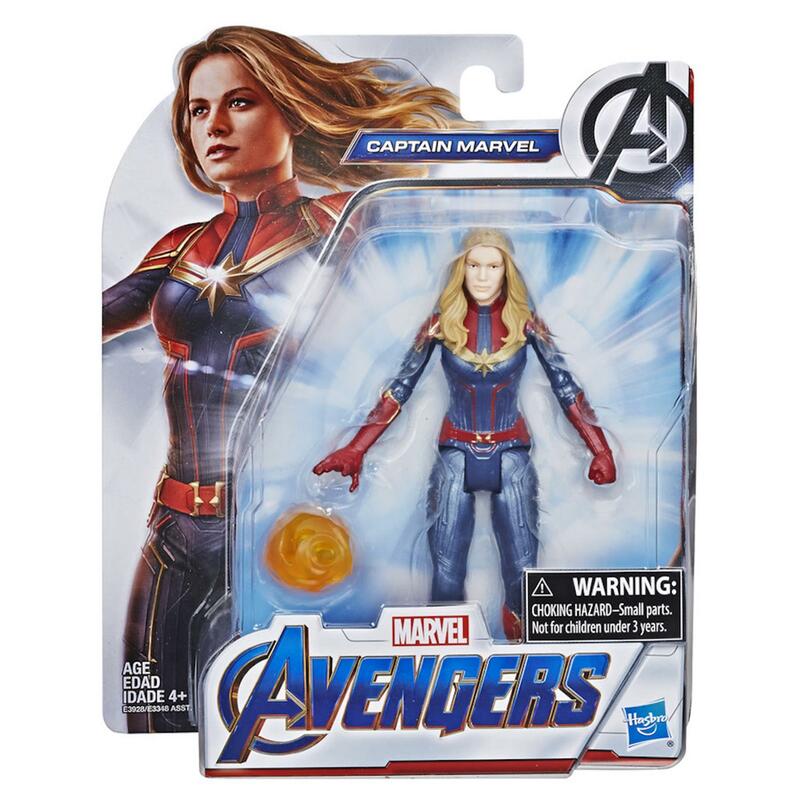 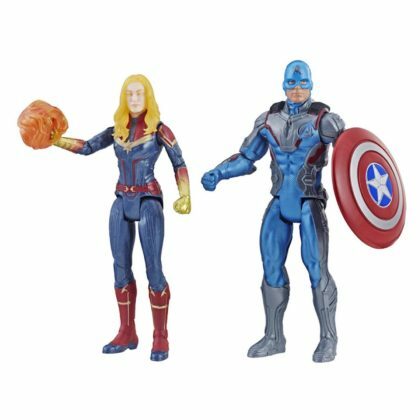 Captain America powers up in his Team Suit and Captain Marvel unleashes her incredible Photon power to take on the toughest of enemies. 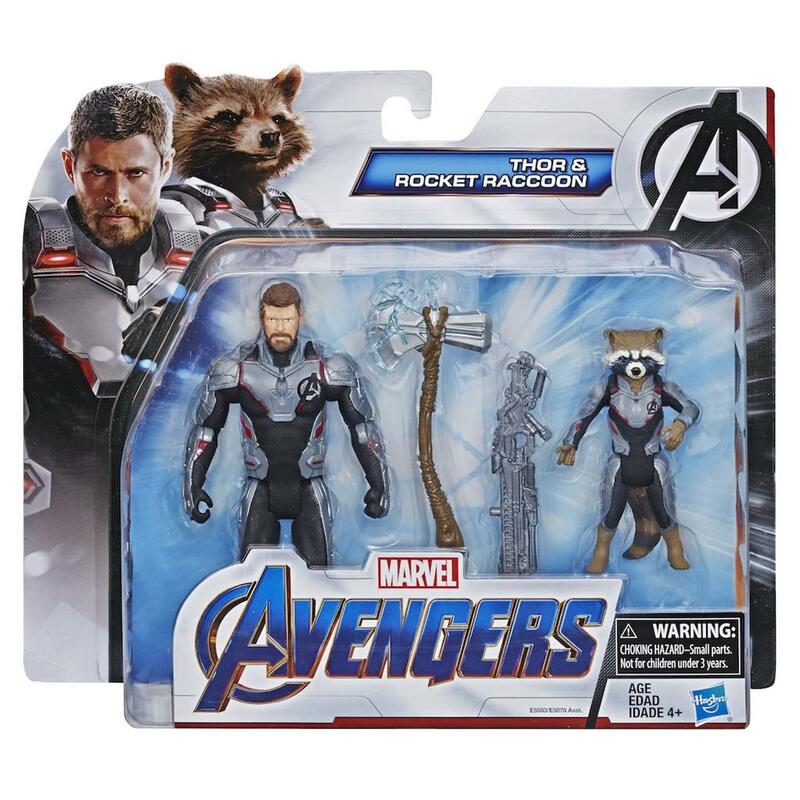 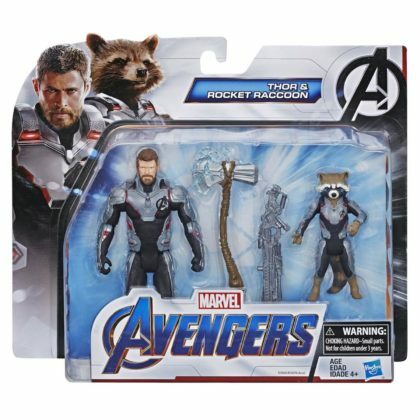 The mighty Thor and Rocket Racoon team up to stop Thanos and his evil plans to wield the Infinity Stones. These 6-inch figures feature designs inspired by Avengers: Endgame. 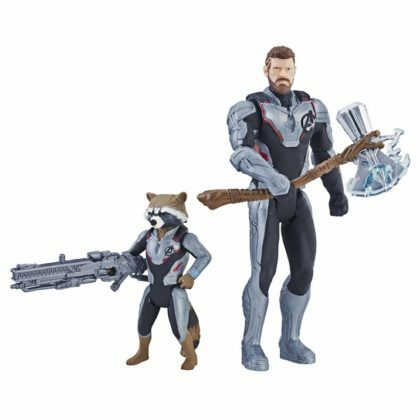 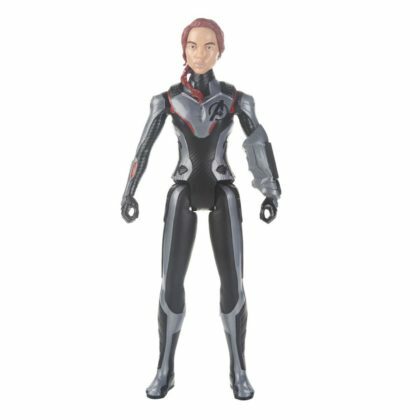 Each pack includes 2 figures and 2 accessories. 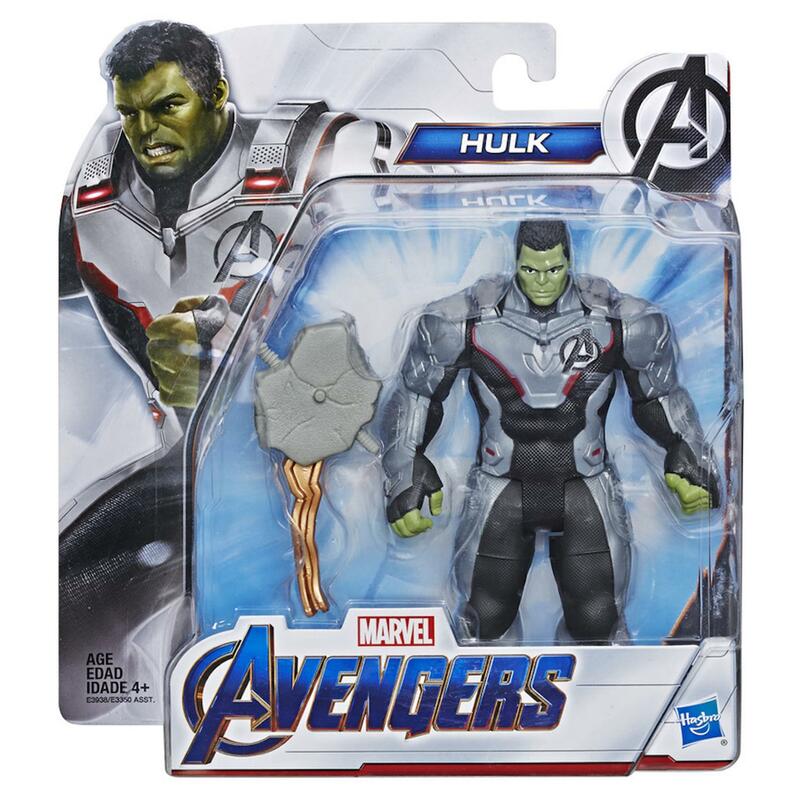 When the universe is in danger, Bruce Banner becomes the gamma-powered hero Hulk. 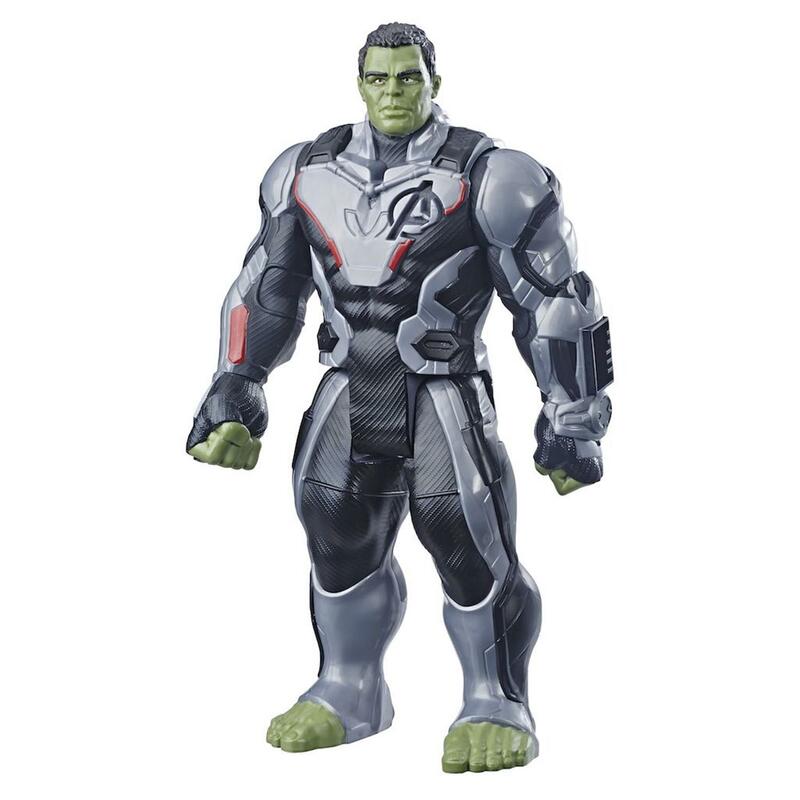 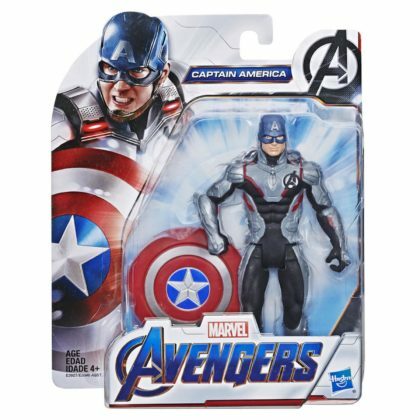 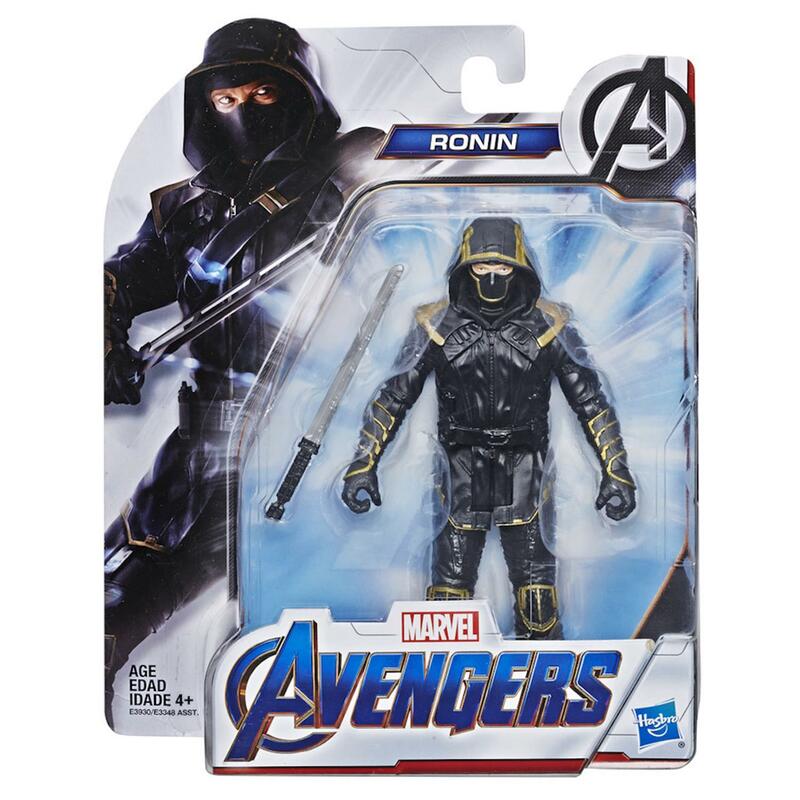 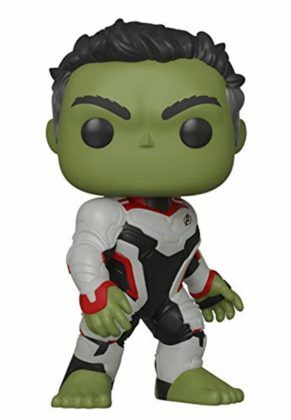 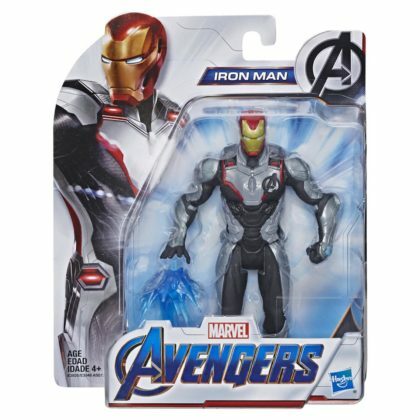 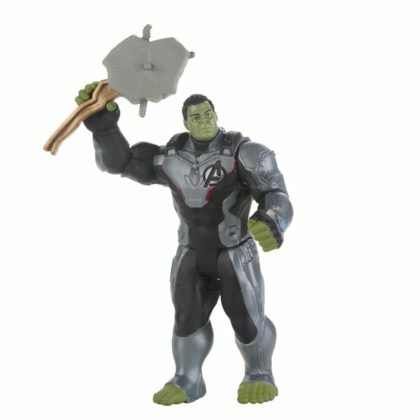 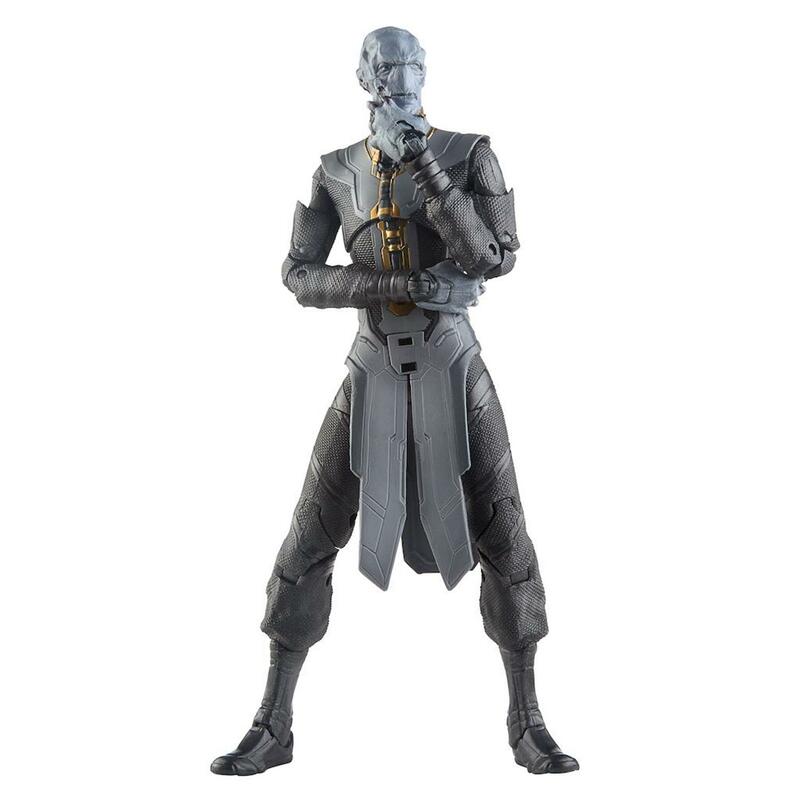 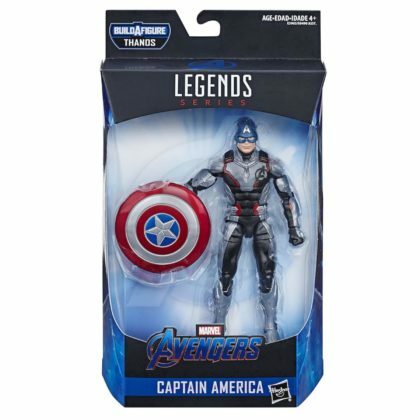 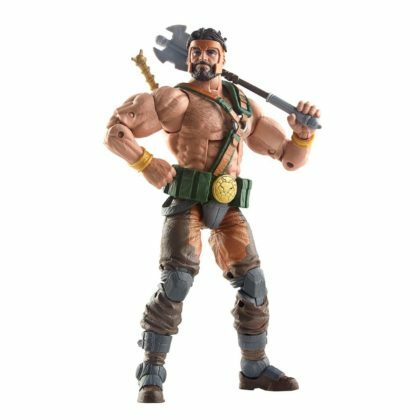 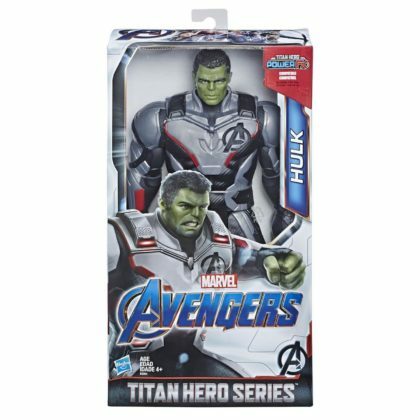 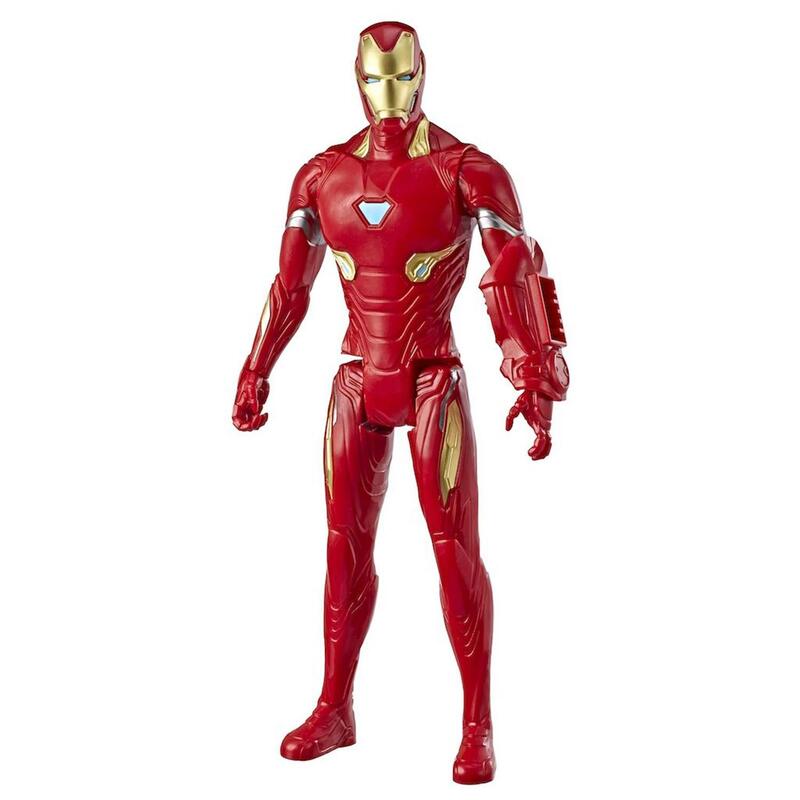 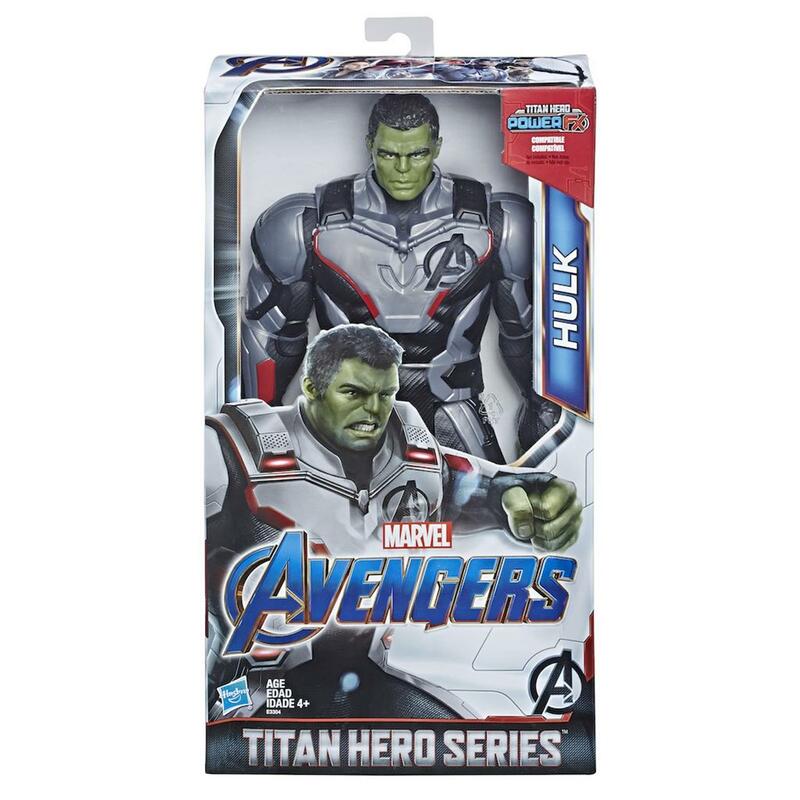 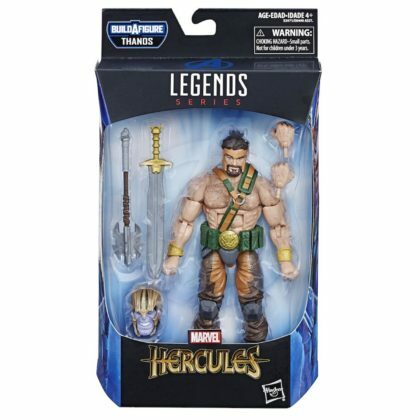 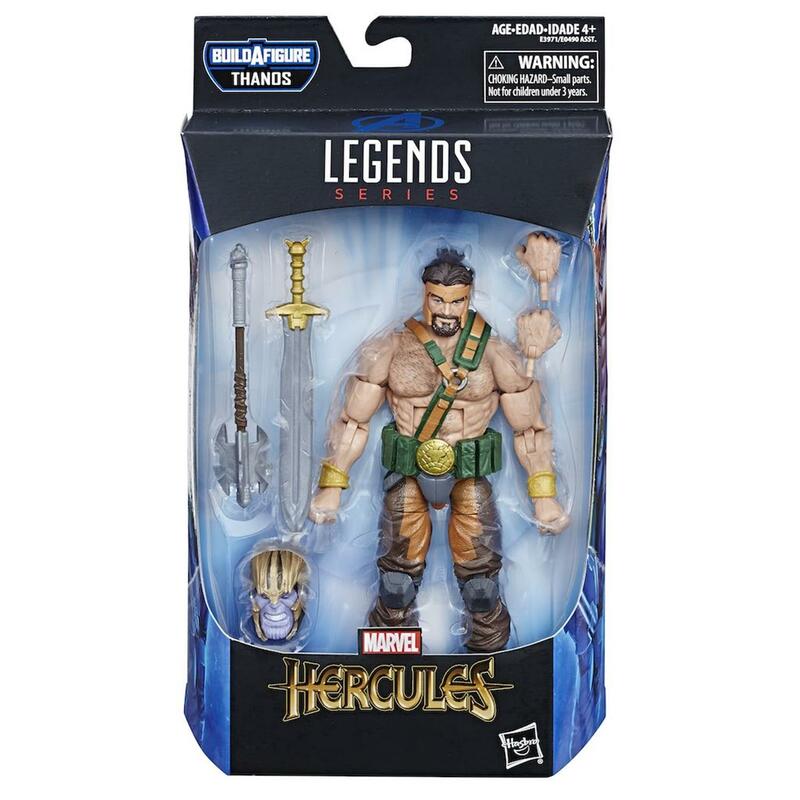 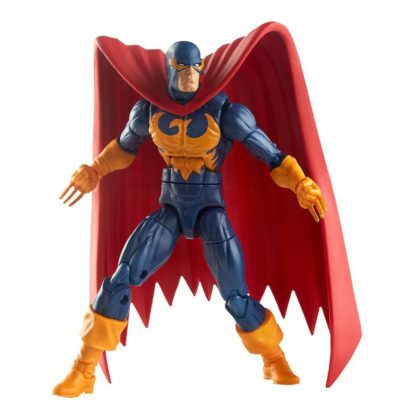 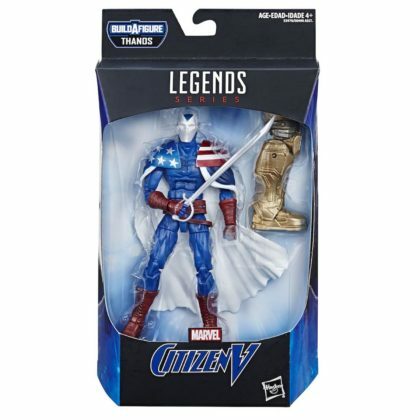 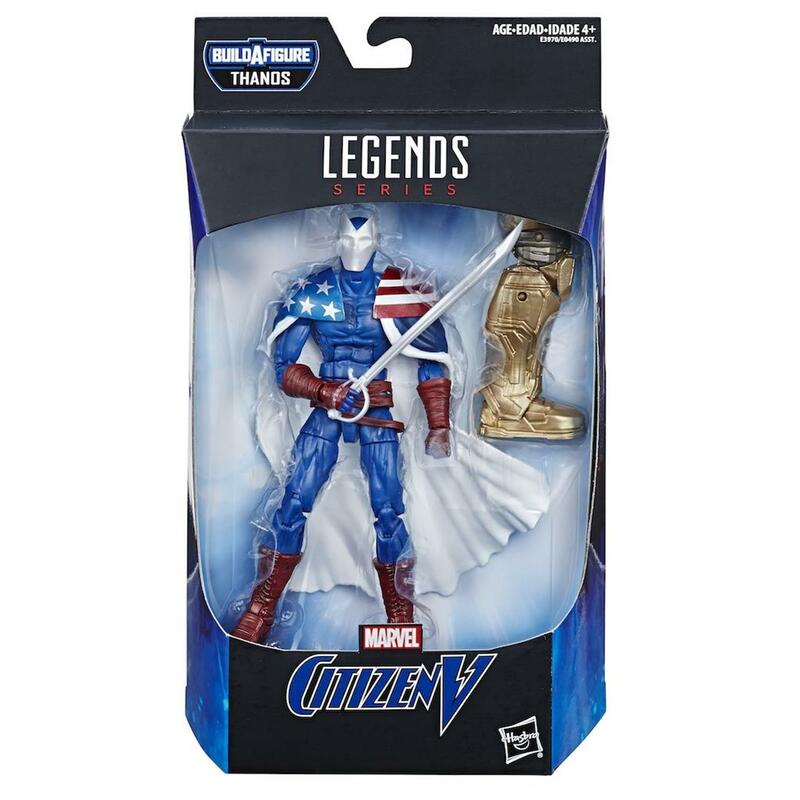 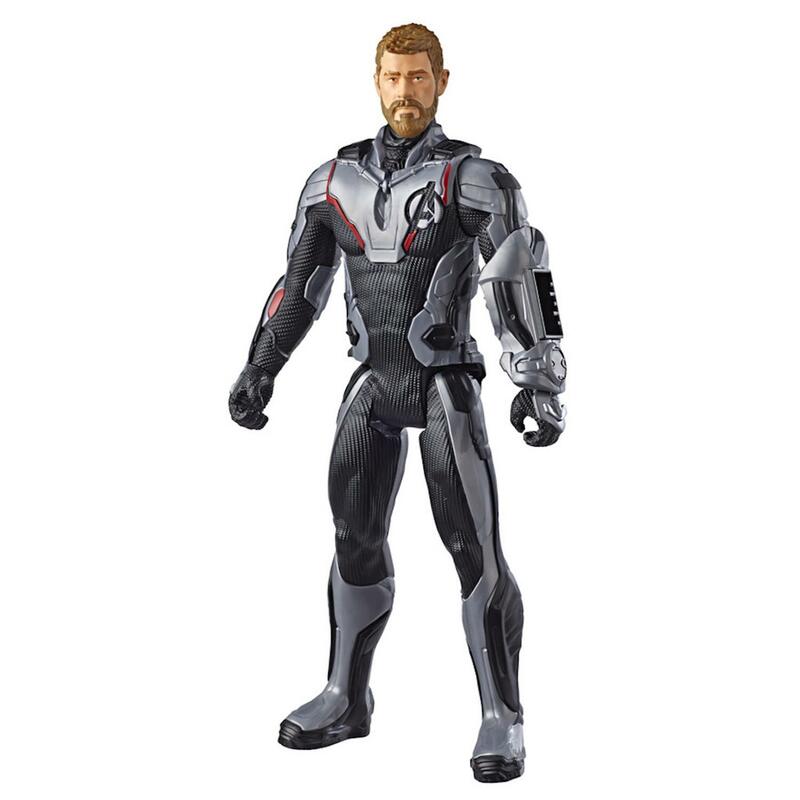 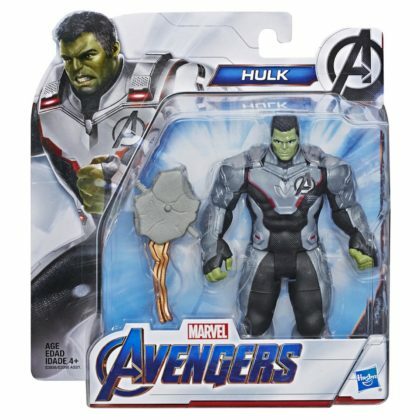 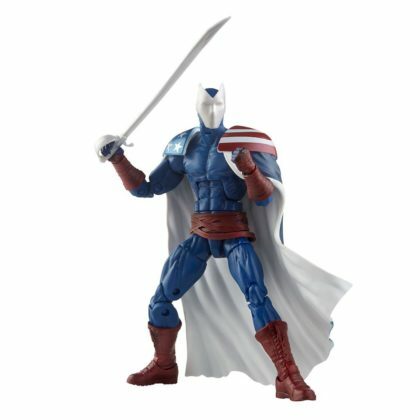 This figure features design inspired by the Hulk’s appearance in Avengers: Endgame, with multiple points of articulation and a character-inspired accessory. Thanos wields the power of the Infinity Stones to bend the universe to his will. 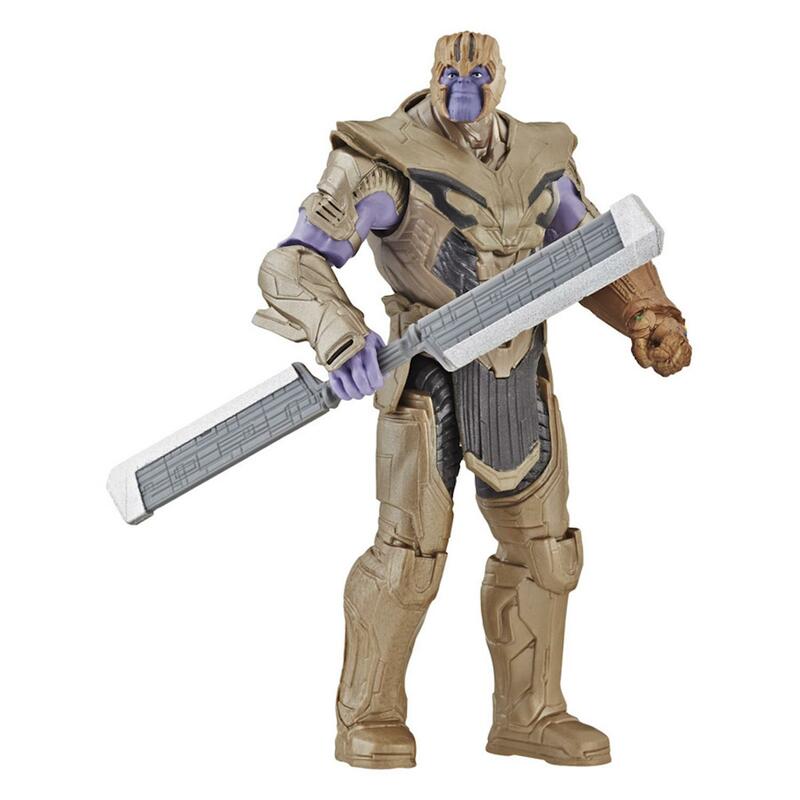 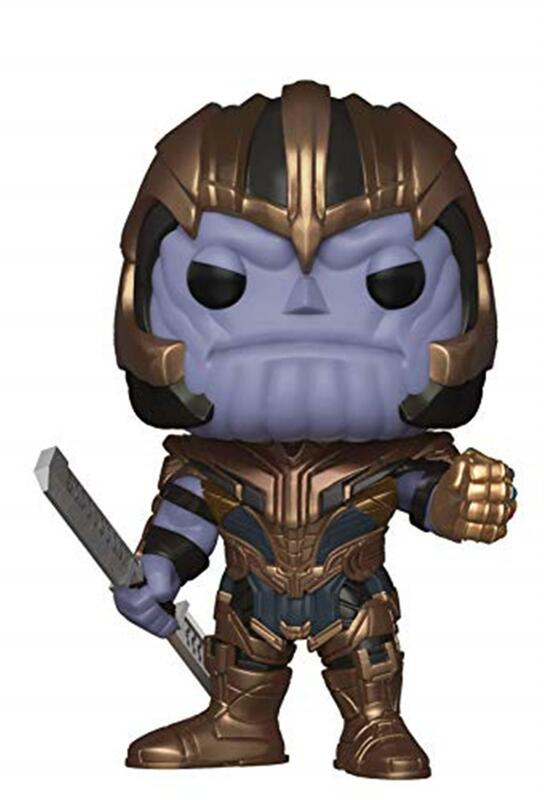 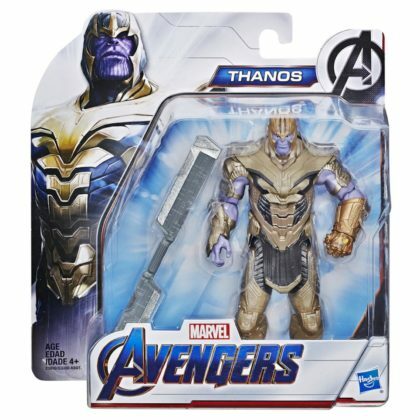 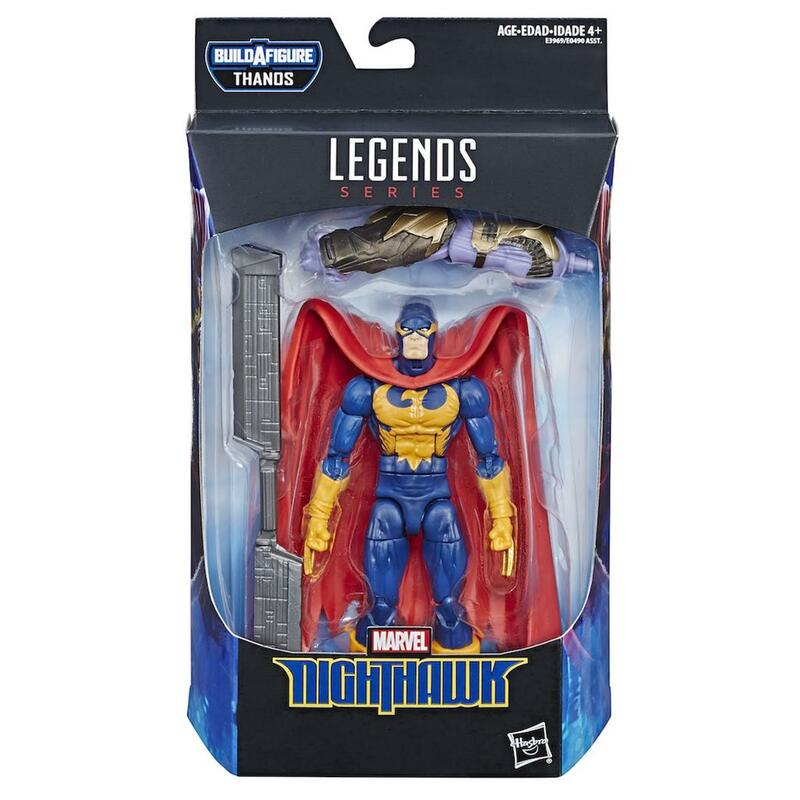 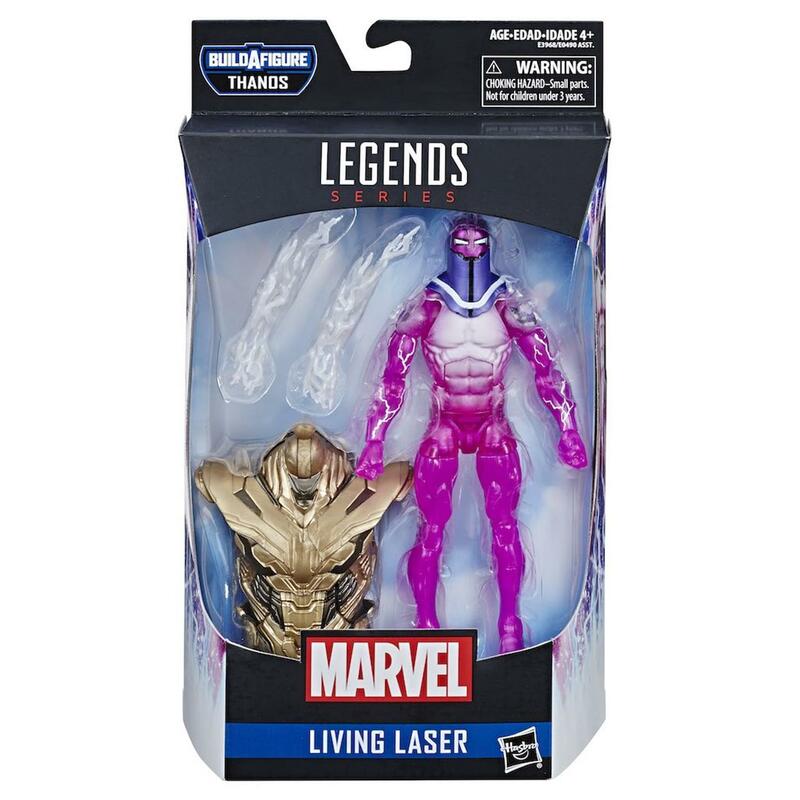 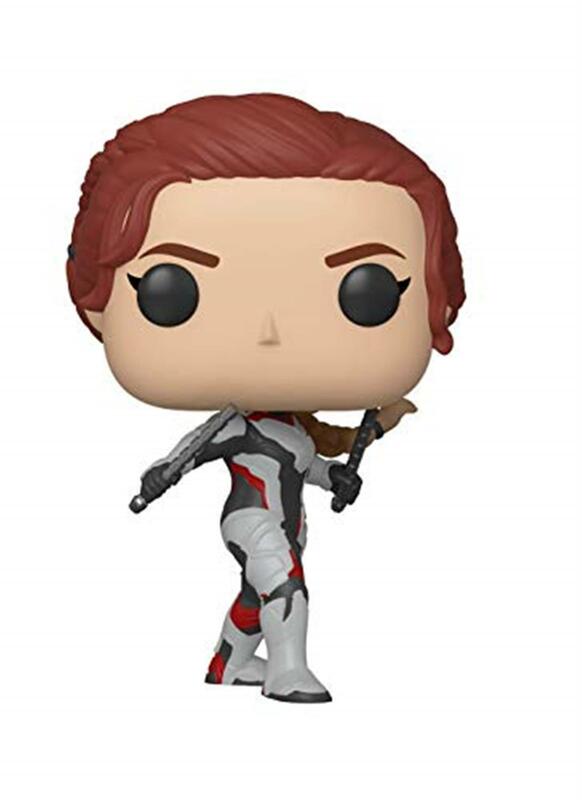 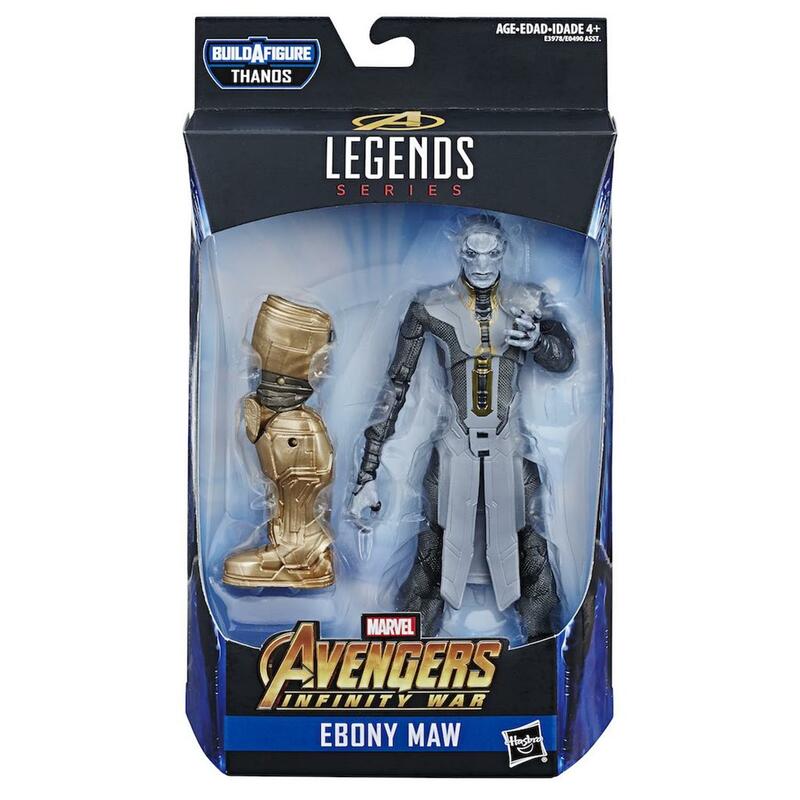 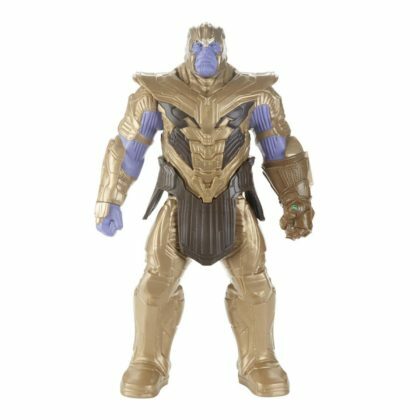 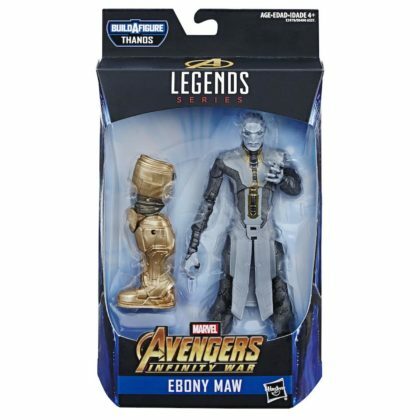 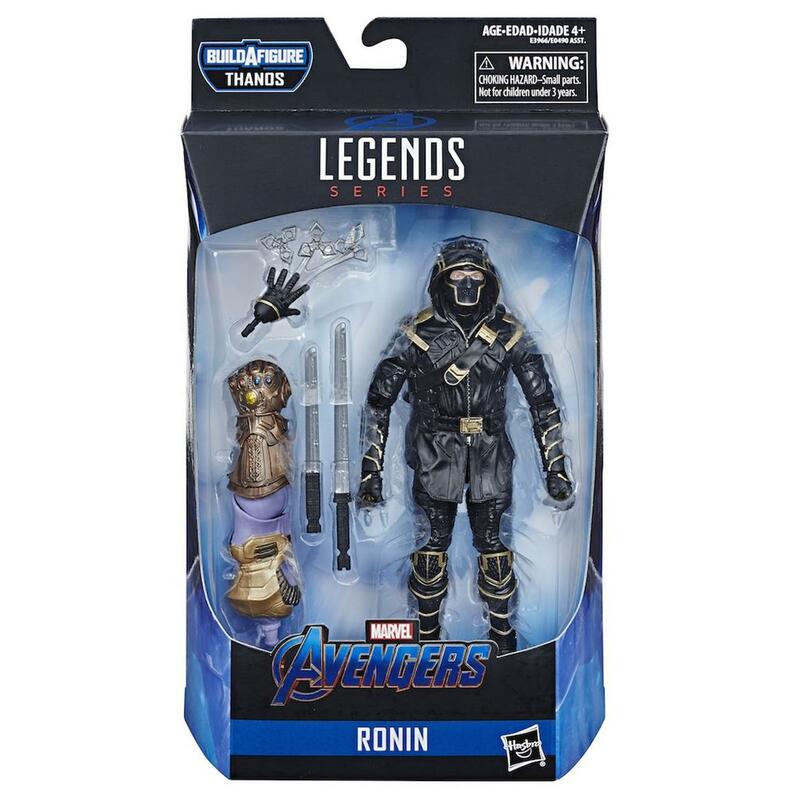 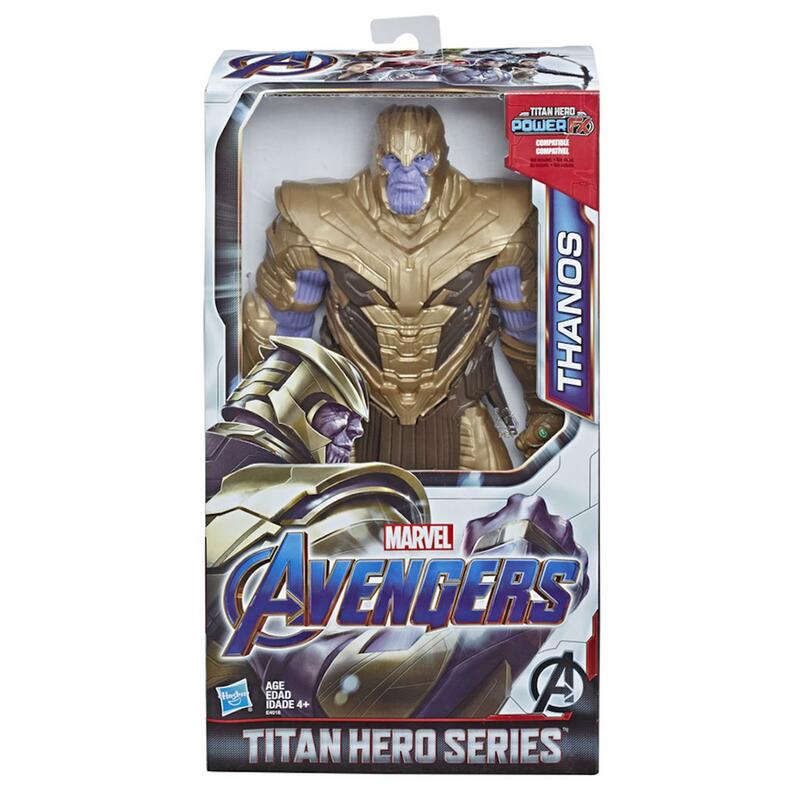 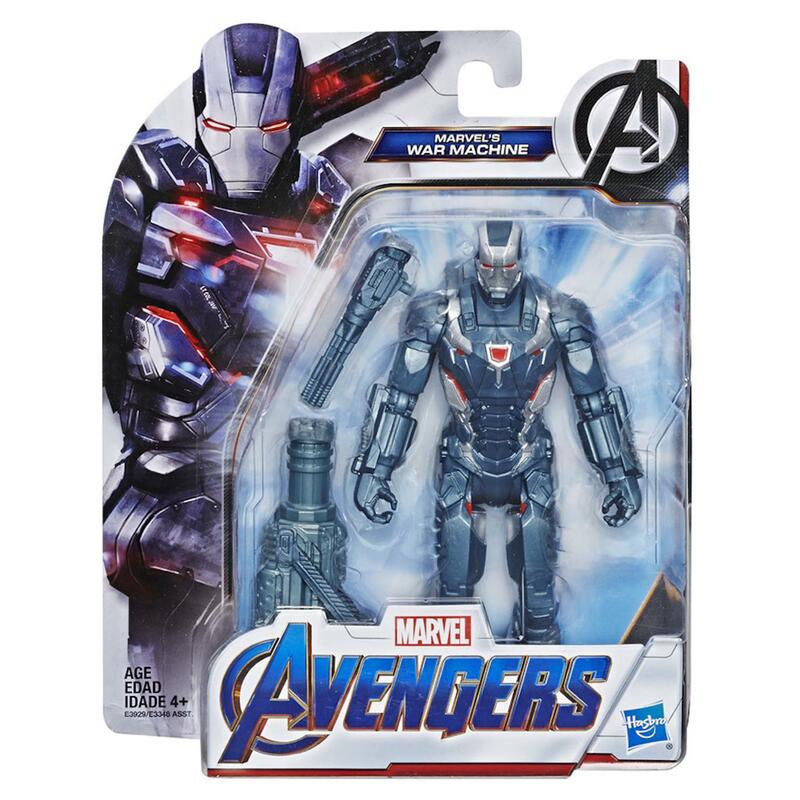 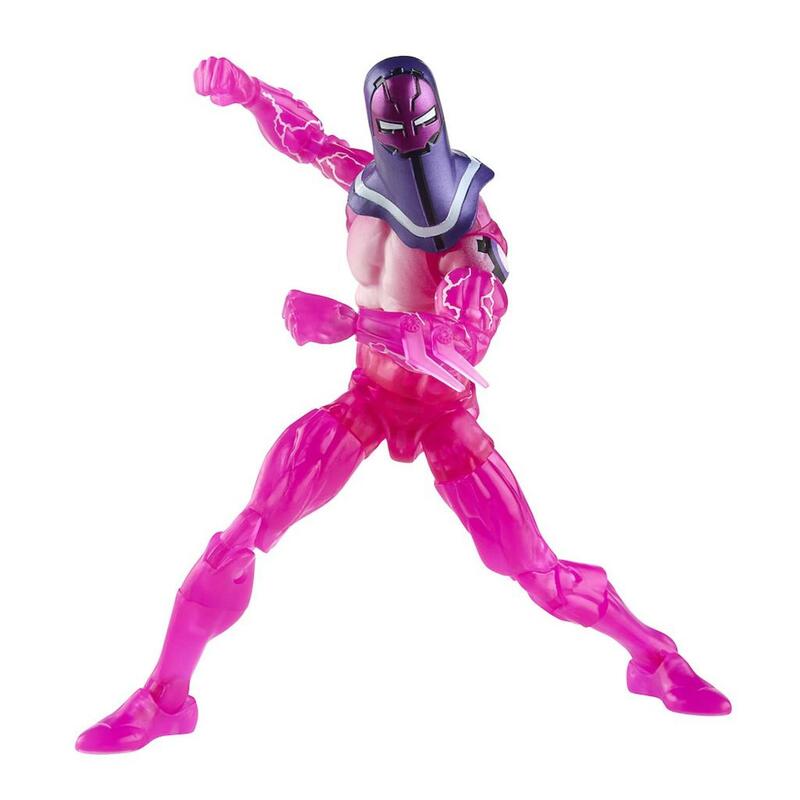 Design inspired by Thanos’ appearance in Avengers: Endgame, with multiple points of articulation and a character-inspired accessory. 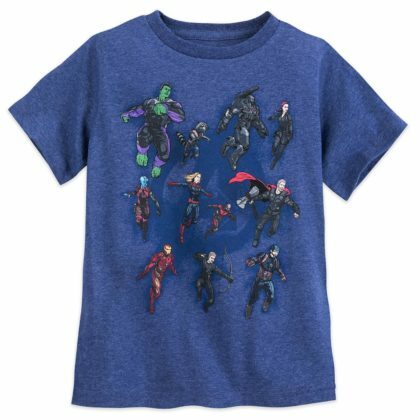 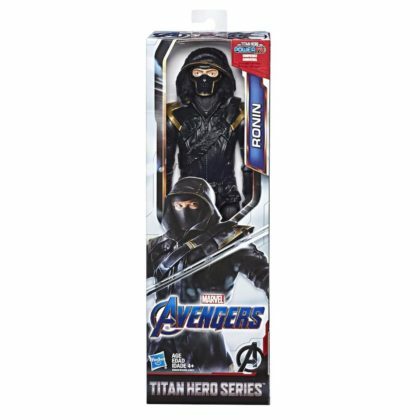 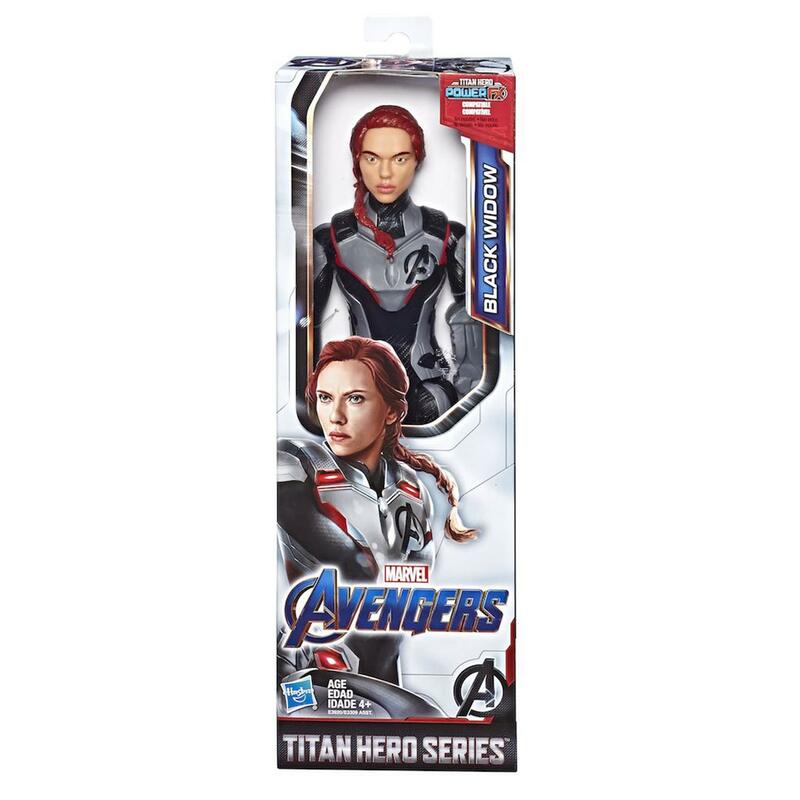 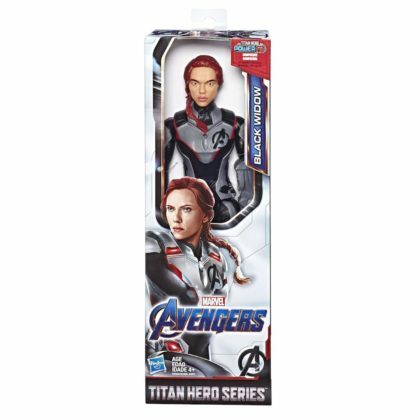 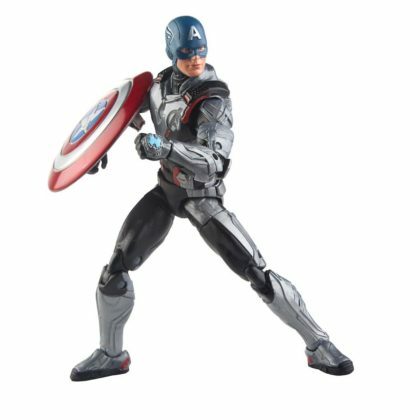 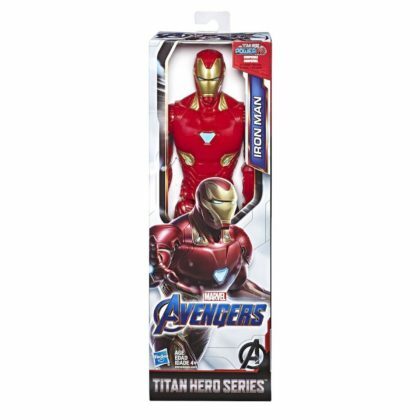 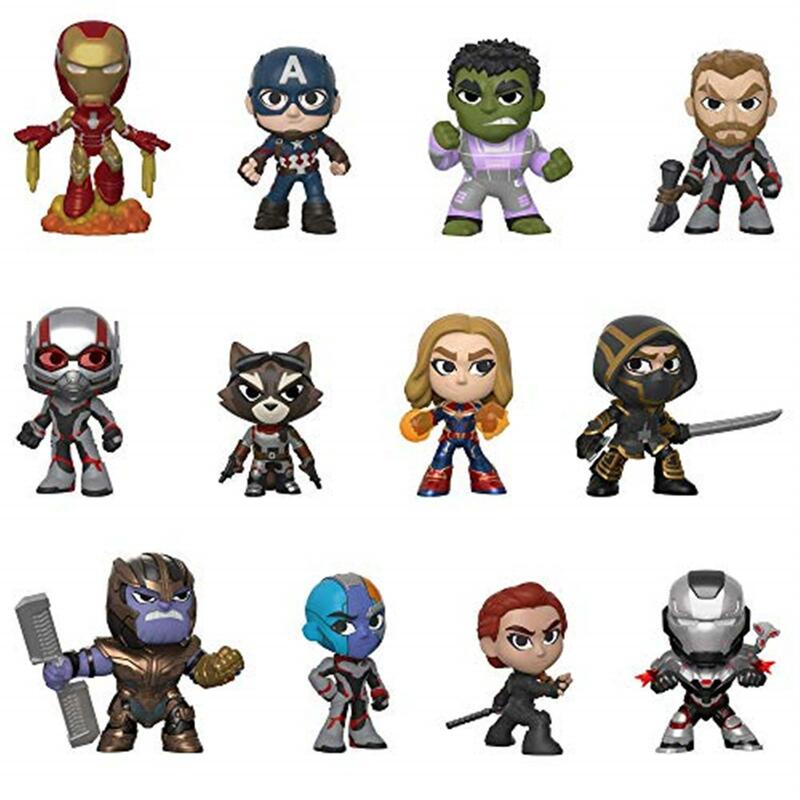 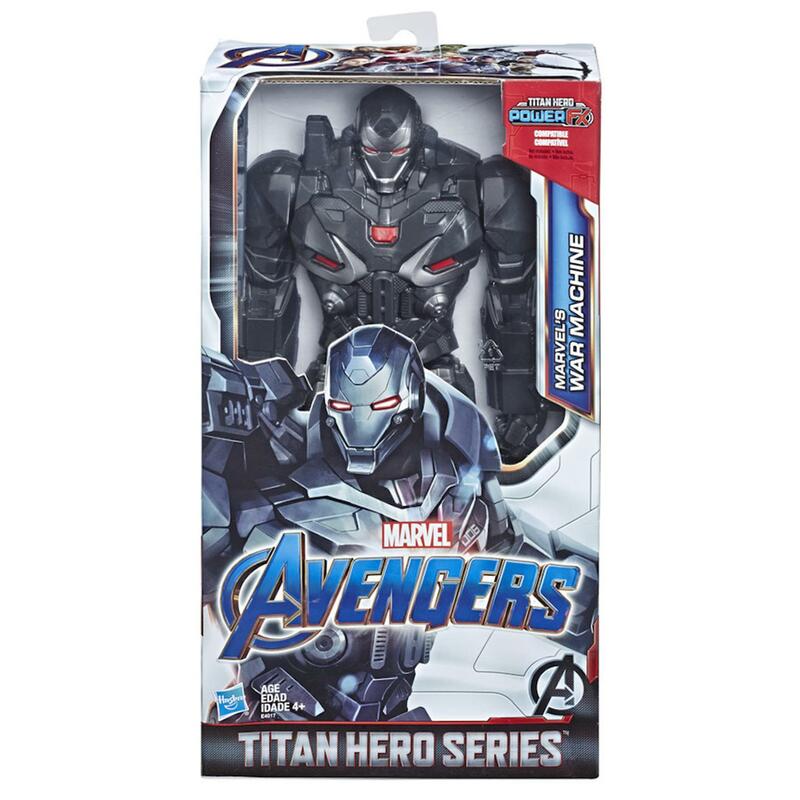 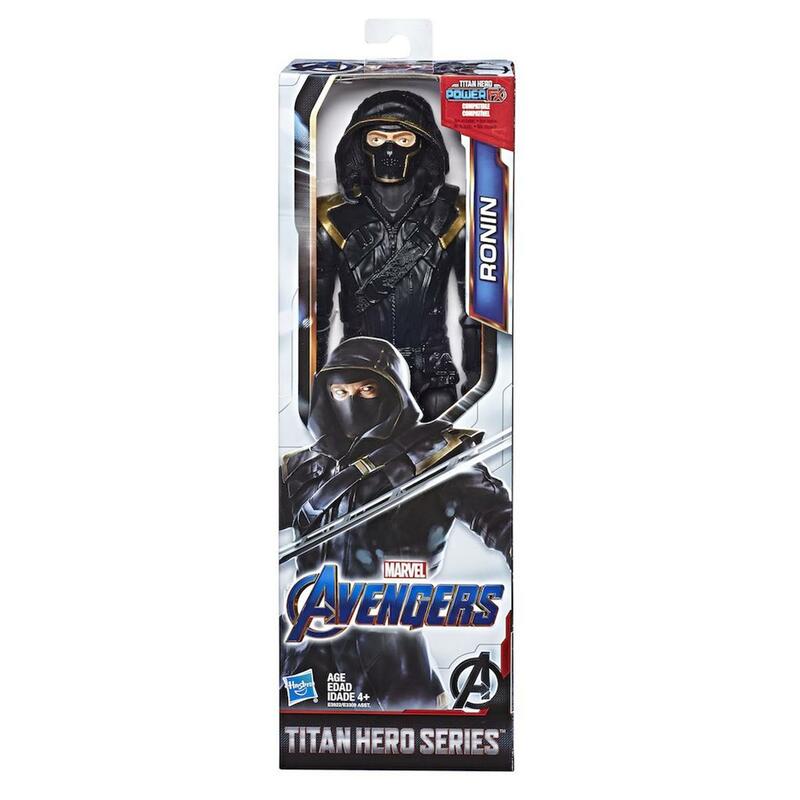 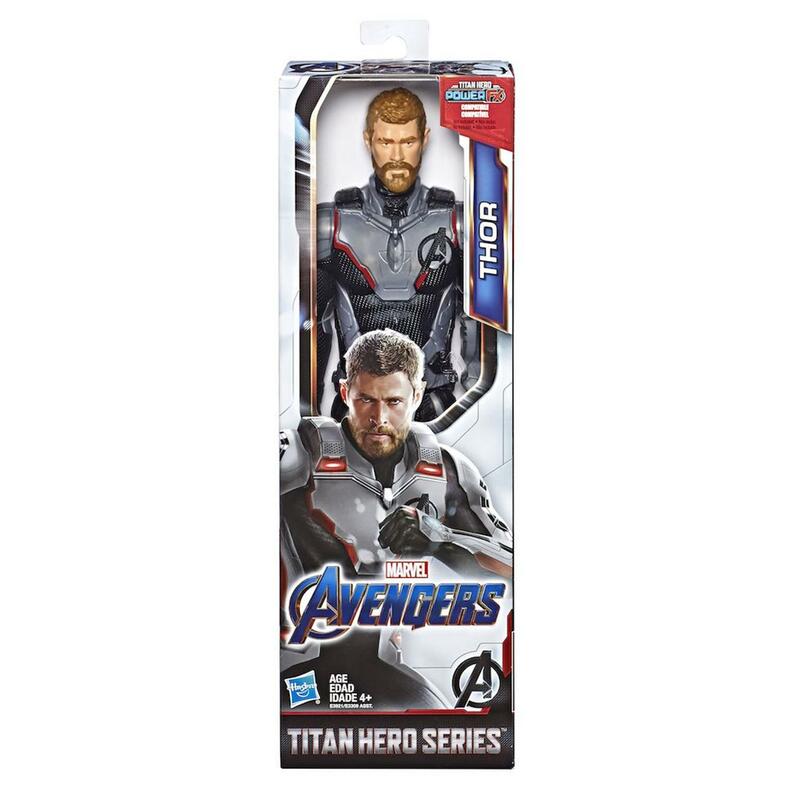 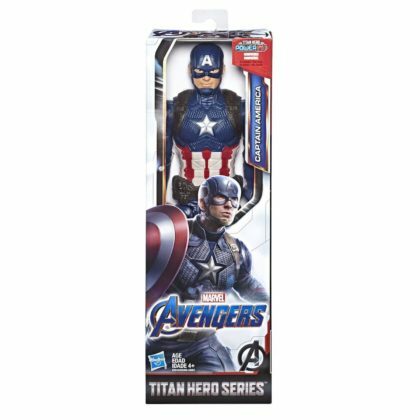 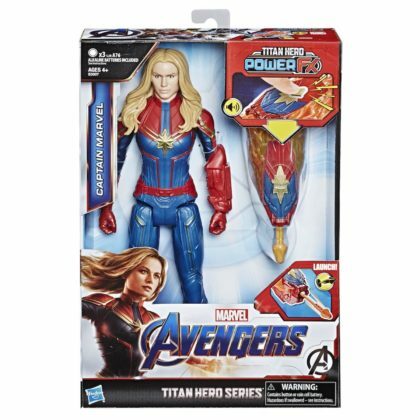 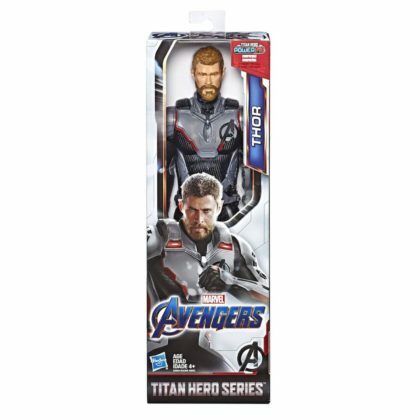 Imagine battling like your favorite Avenger with these 12-inch scale figures from the Titan Hero Series! Connect the Power FX launcher (not included; sold separately with Titan Hero Power FX figures) to the figure’s arm port to activate character-specific sounds and phrases and launch projectiles! 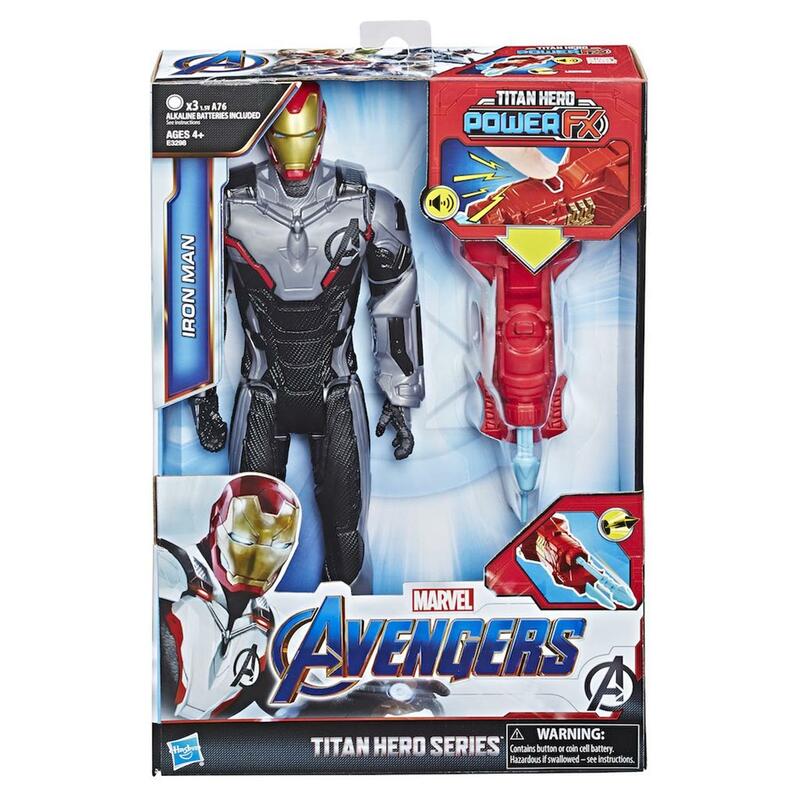 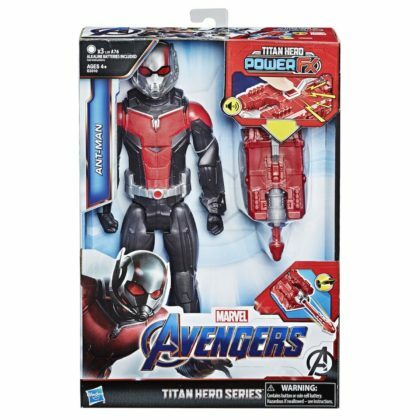 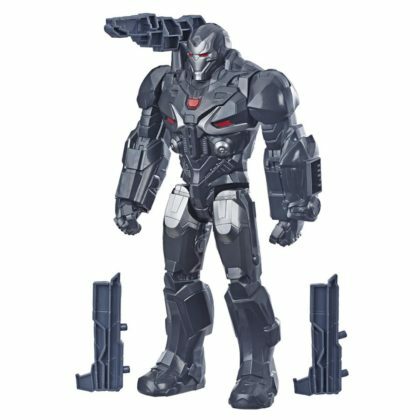 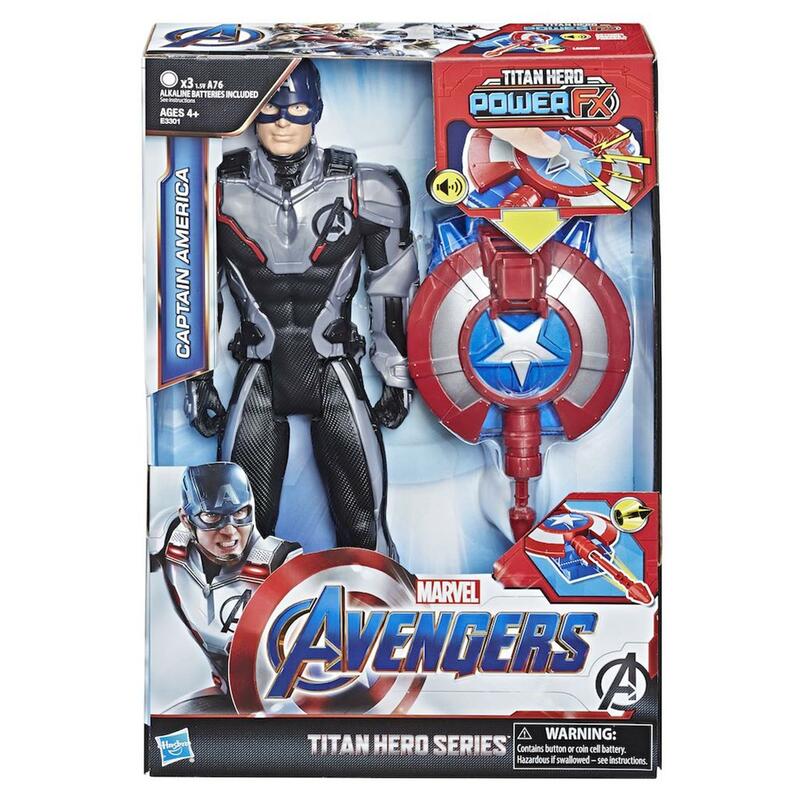 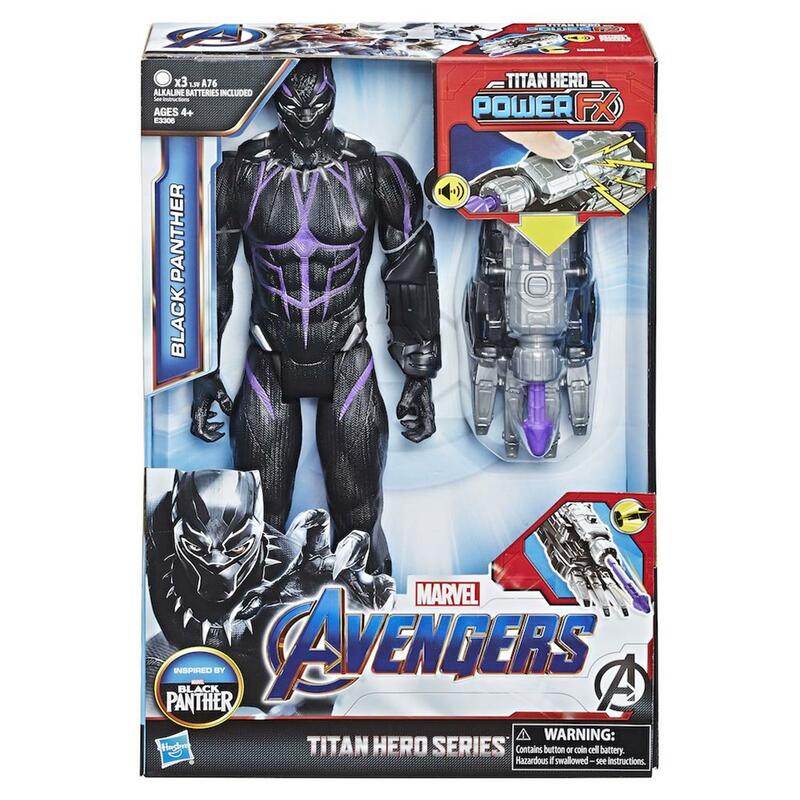 These figures include a Titan Hero Power FX launcher to attach to the arm port to power up each figure and activate character-specific sounds and phrases from the movie, and launch a projectile! 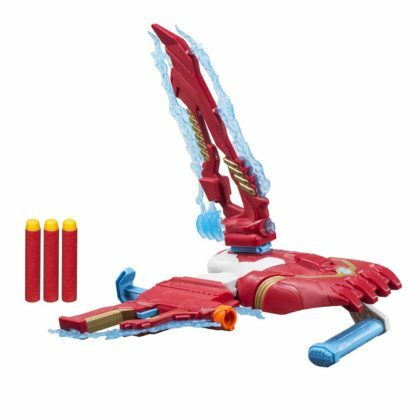 Titan Hero Power FX arm launcher sold with this and other figures. 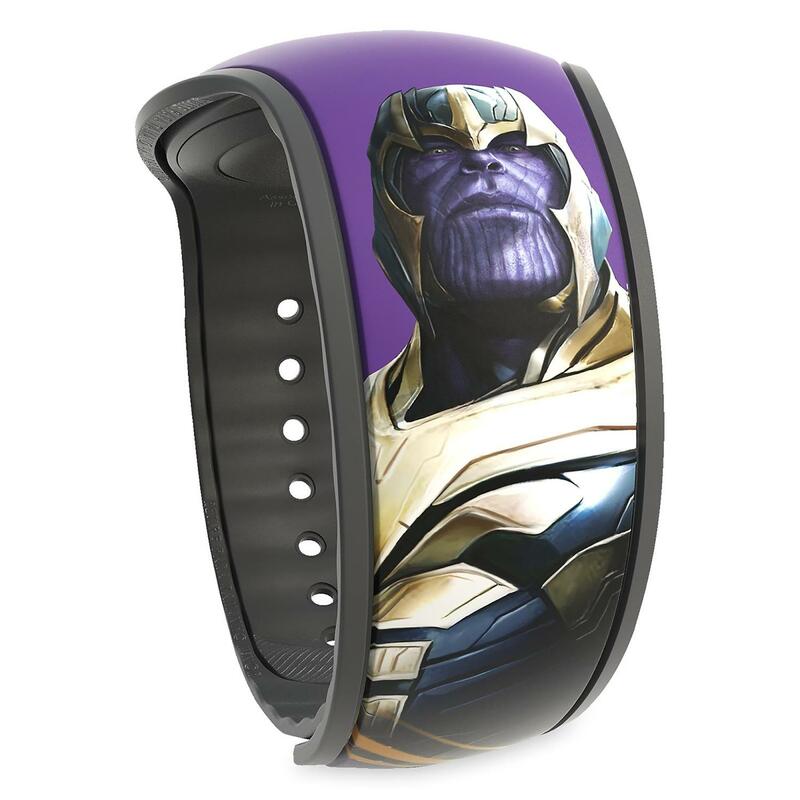 Requires 3 1.5V A76 batteries, included. 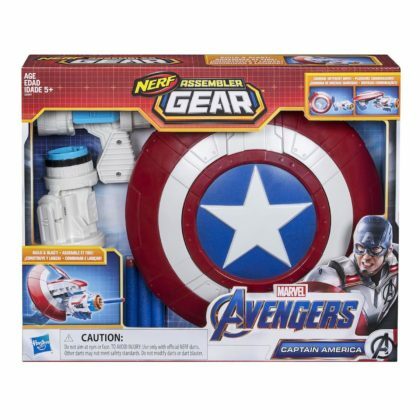 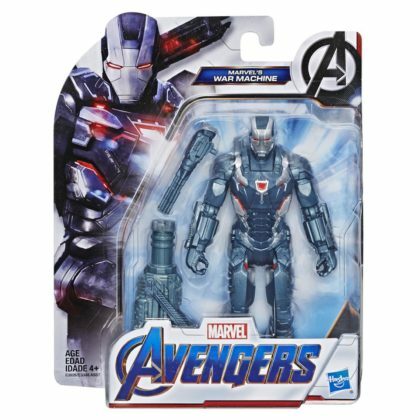 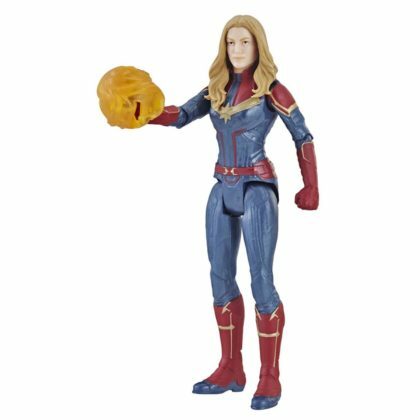 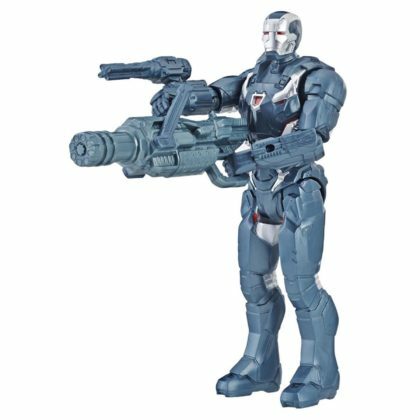 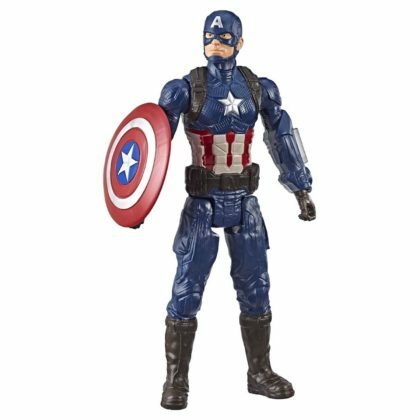 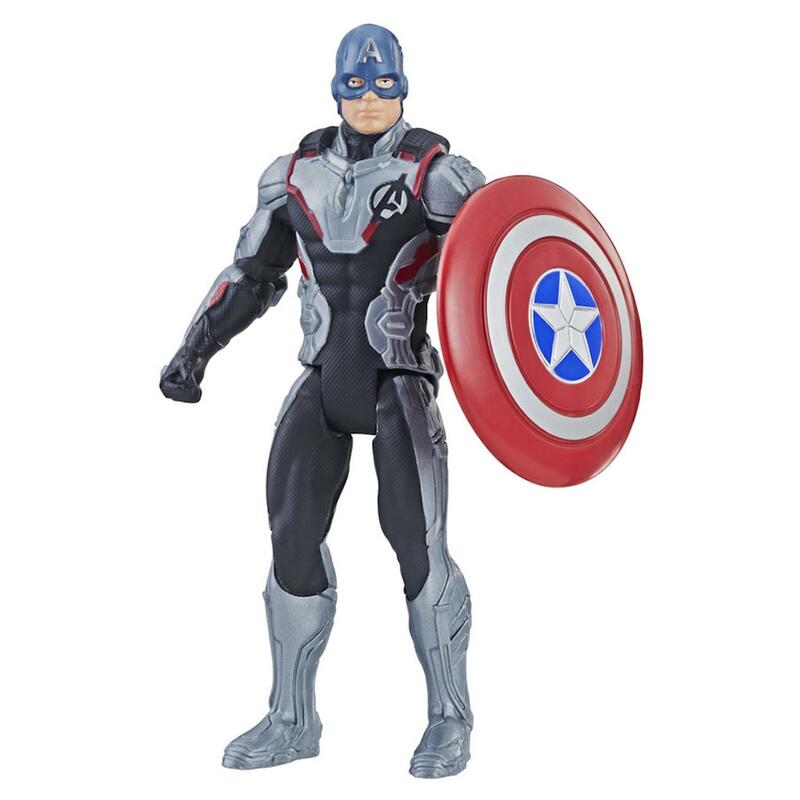 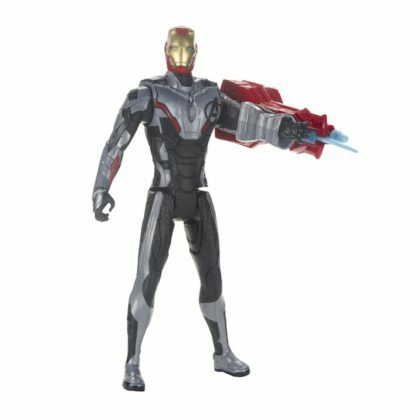 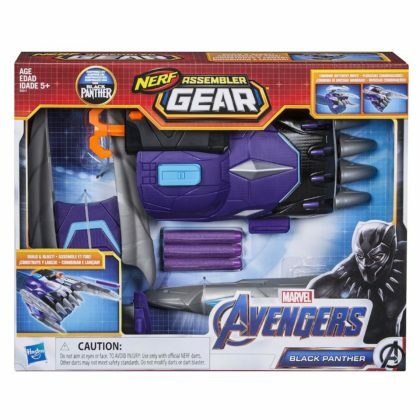 This 14-inch-scale Shield Blast action figure features 15+ sound effects and phrases from the Avengers: Endgame movie. 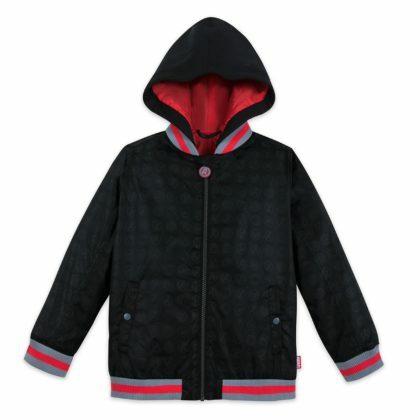 Includes figure and accessory. Requires 1 1.5V AA batteries, included. 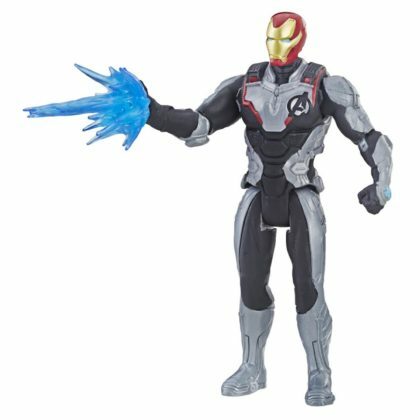 This 14-inch-scale Repulsor Blast action figure features 15+ sound effects and phrases from the Avengers: Endgame movie. Includes figure and accessory. Requires 1 1.5V AA batteries, included.